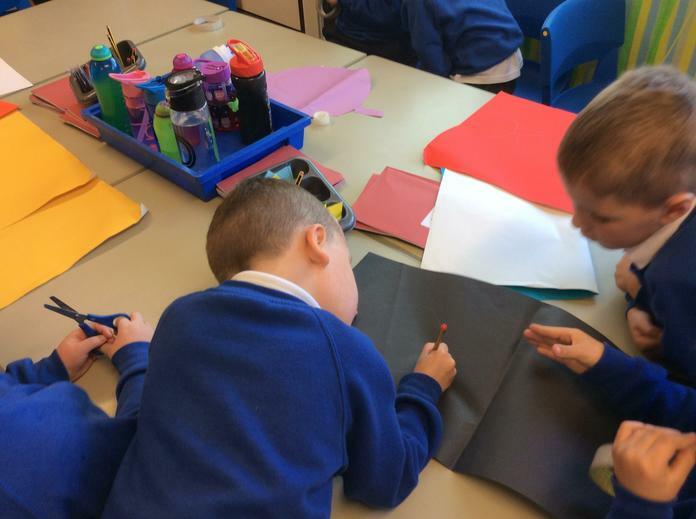 A huge thank you to local 'Awesome Author' Dan Worsley for inspiring us to be awesome writers too. 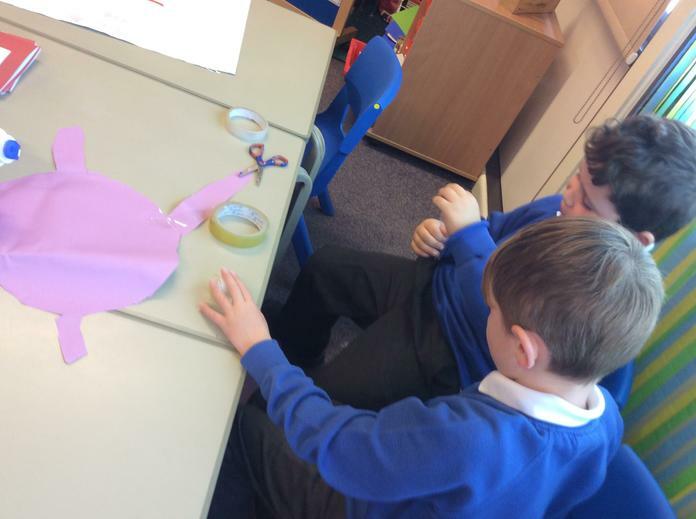 We loved Dan's pirate themed writing workshop, especially when he put on his story tellers waistcoat to tell us the story of 'The Junk in the Trunk!' 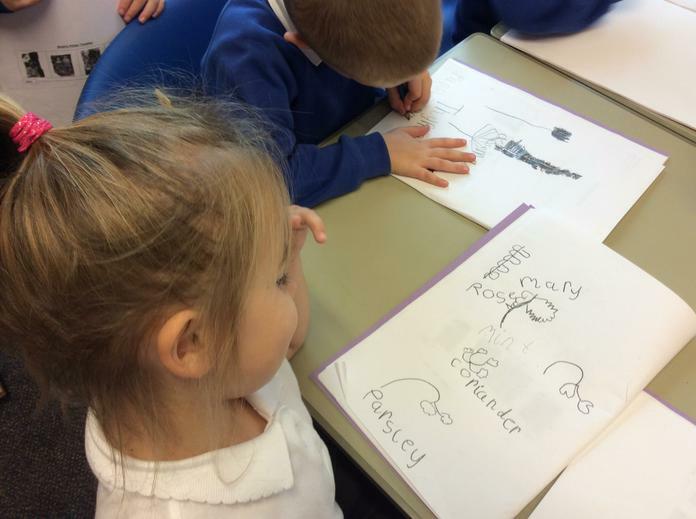 We worked really hard to showcase all of our newly developed Year 1 writing skills and were really proud of our finished pirate themed character descriptions. 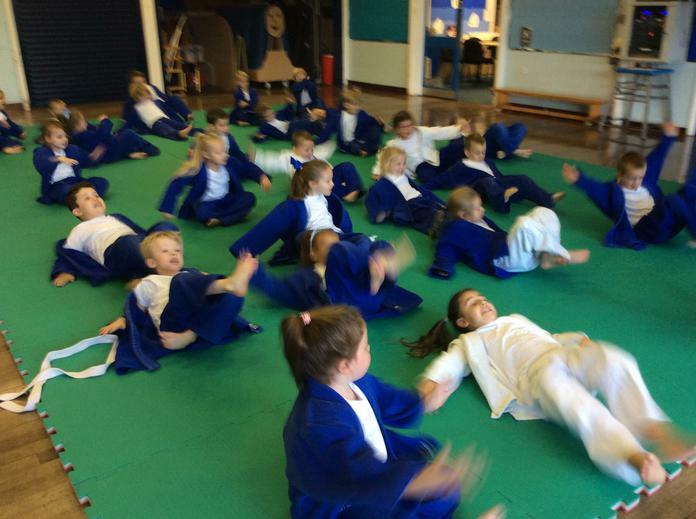 Take a peek at Dan's website - www.danworsley.com to find out more about him and the books he has written. 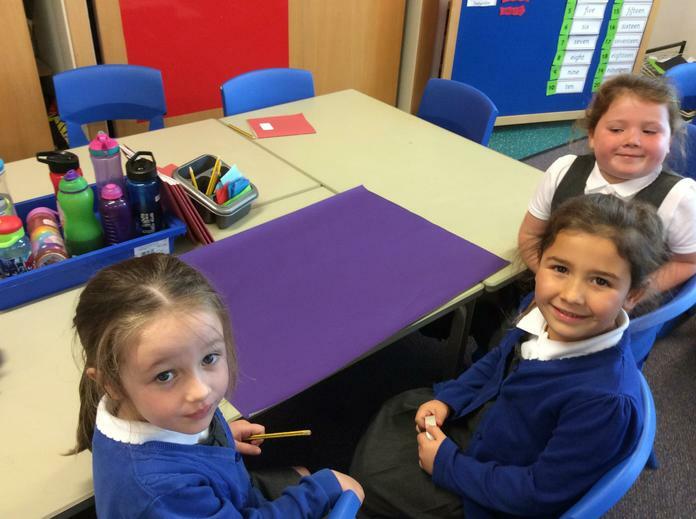 You might even find some of your fantastic writing showcased on there! 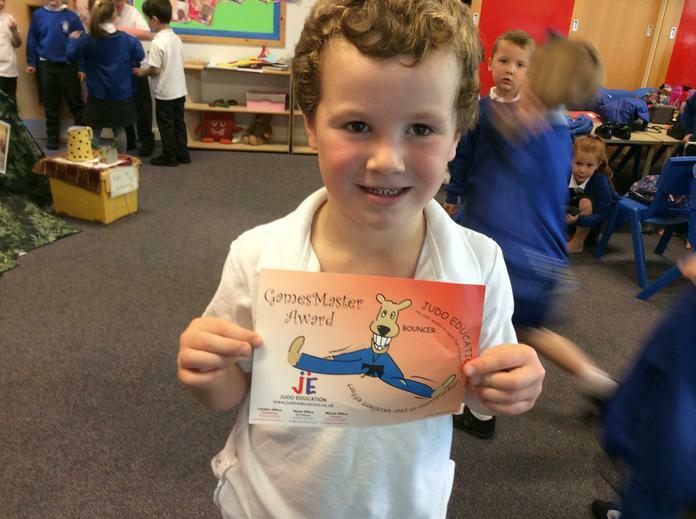 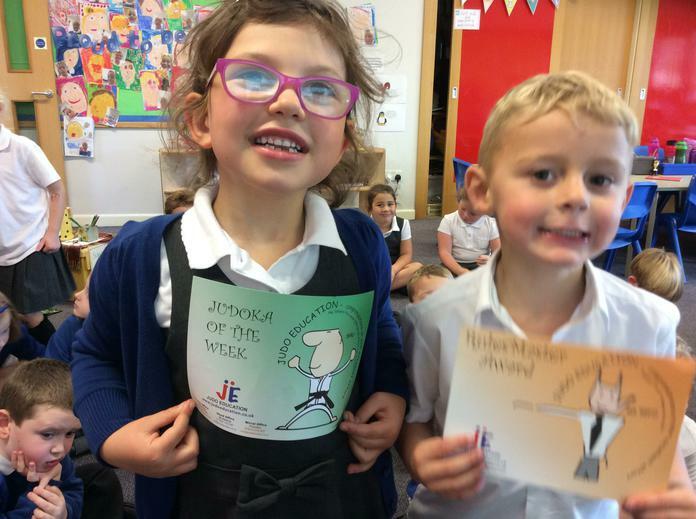 Congratulations to our final Judo stars! 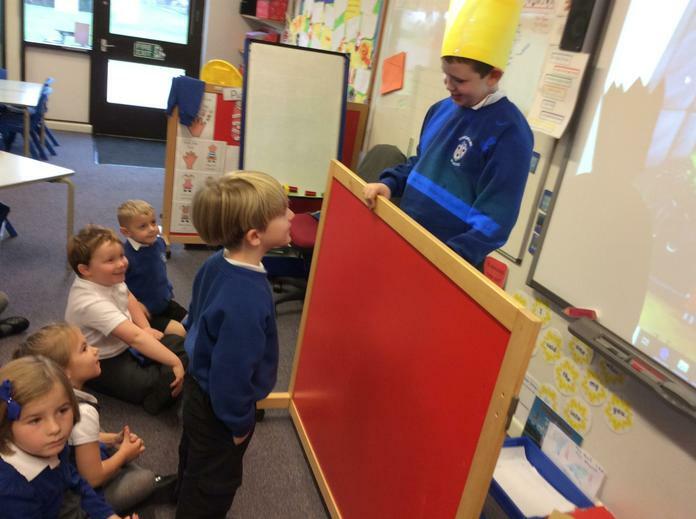 Share a story session with Year 5. 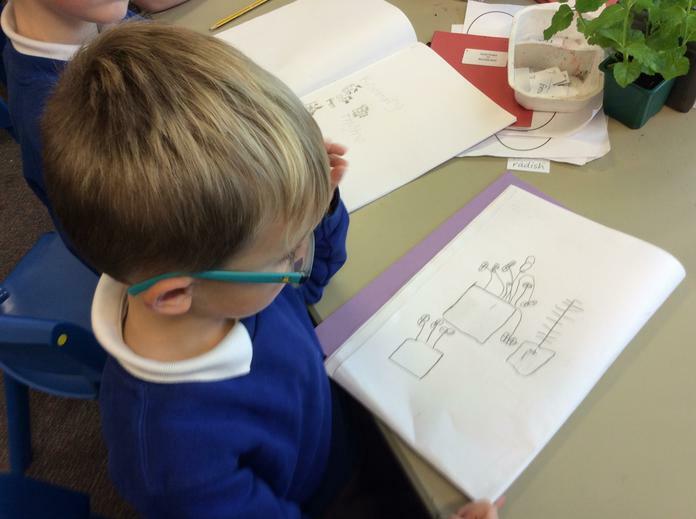 Inspired by the life and work of Beatrix Potter we have been learning how to use water colours to paint our own lakeland landscapes. 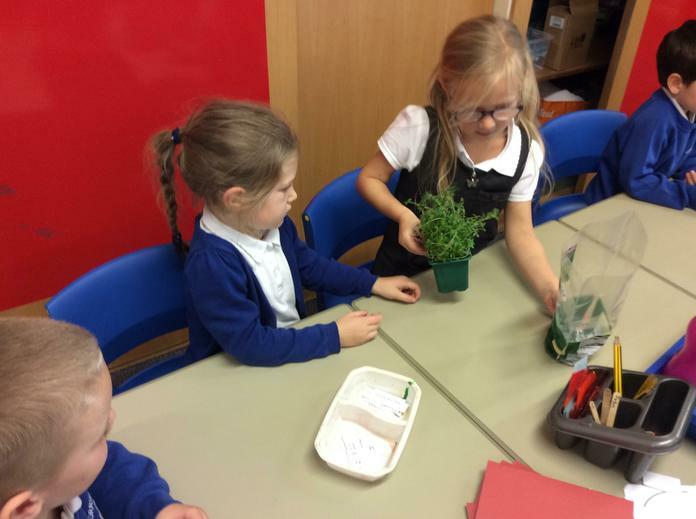 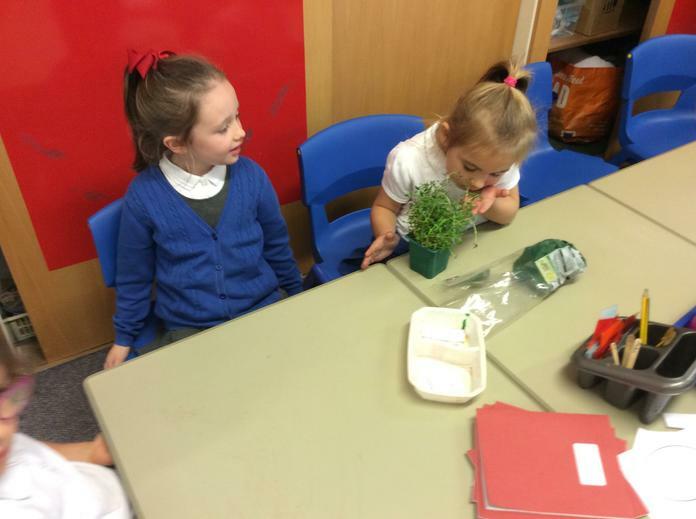 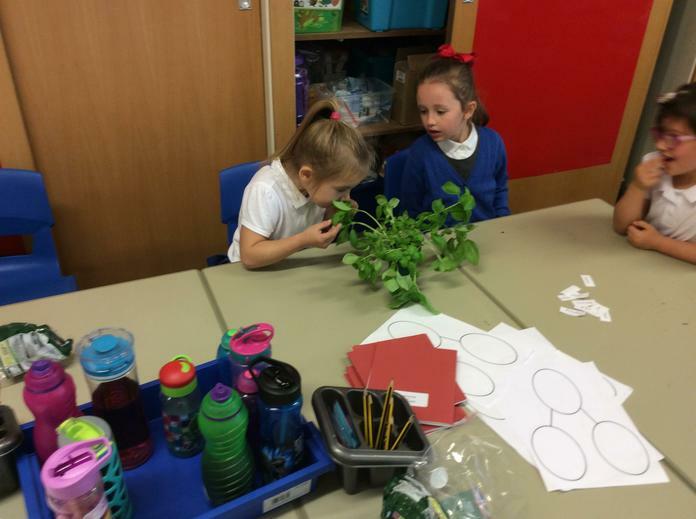 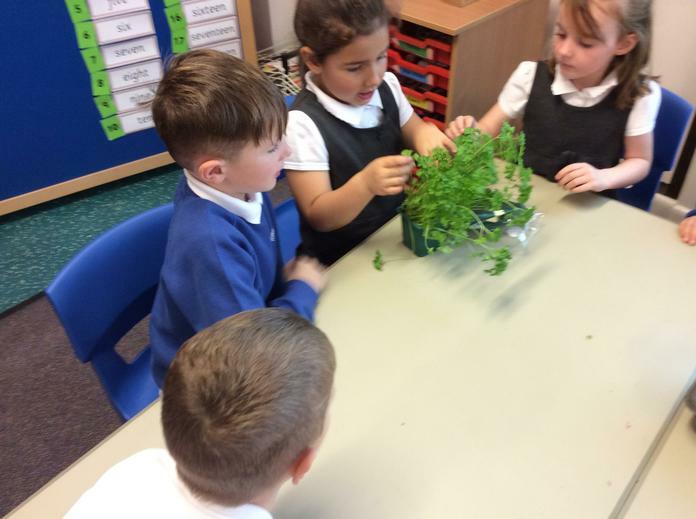 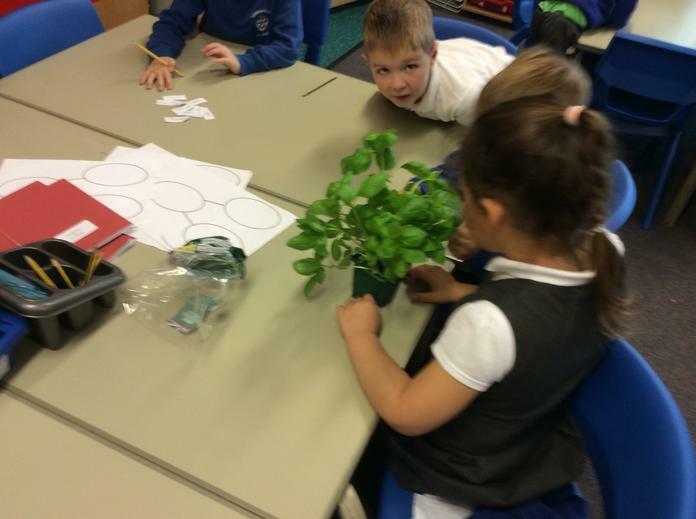 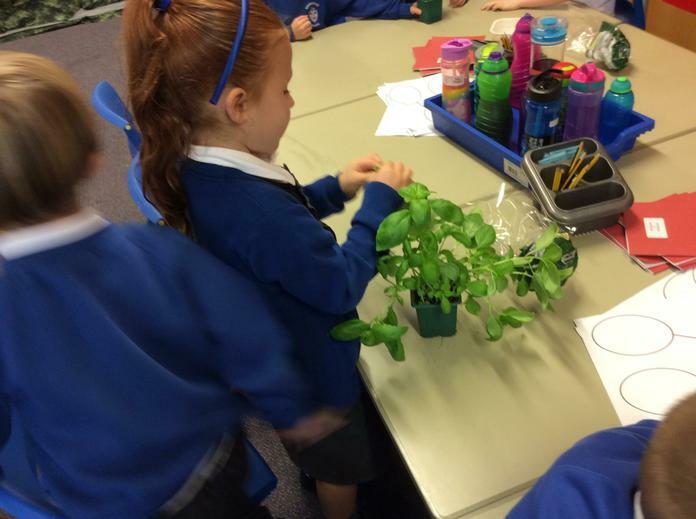 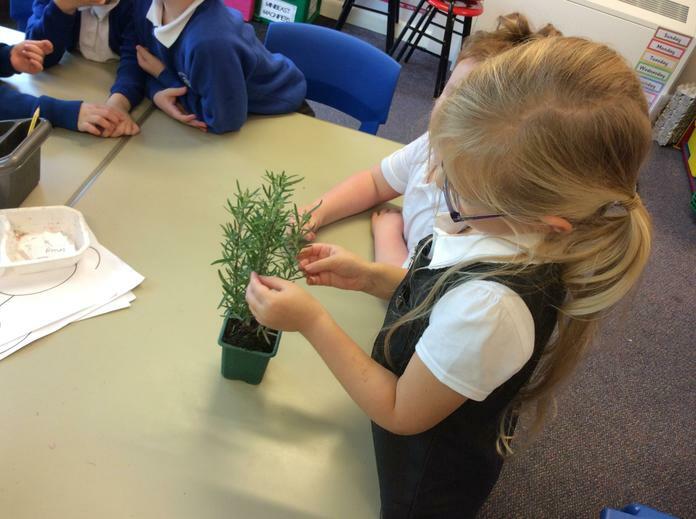 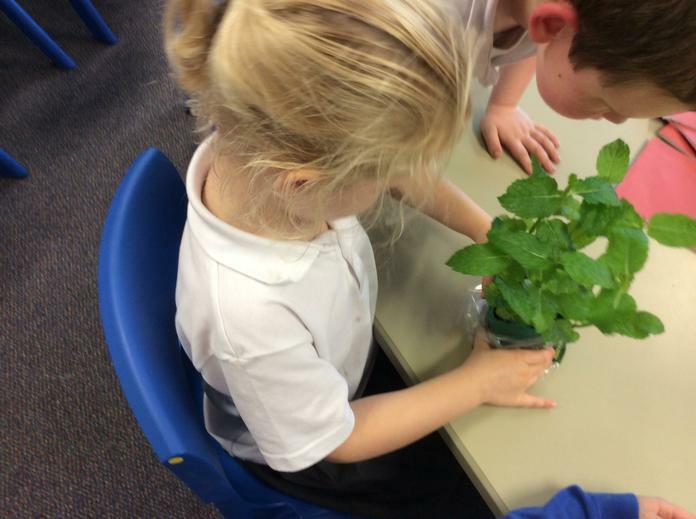 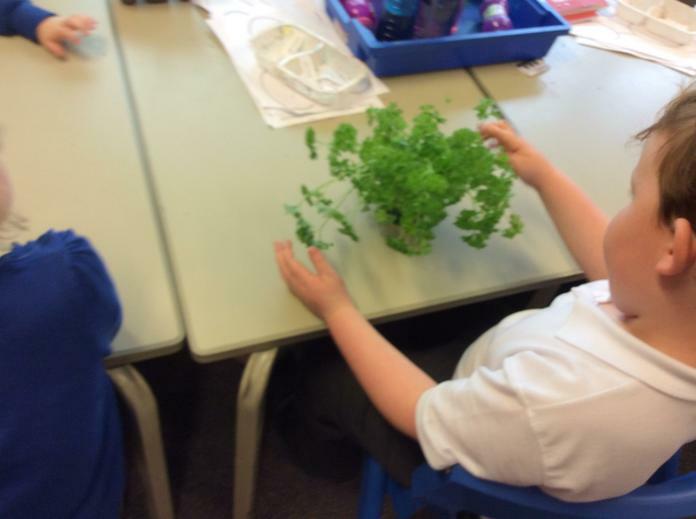 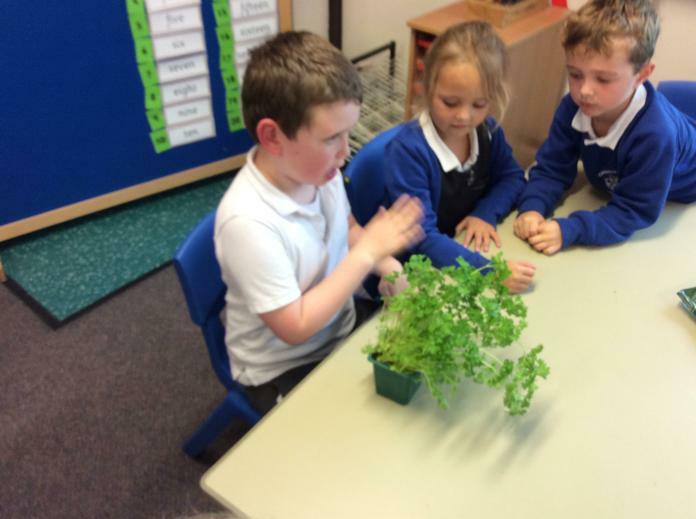 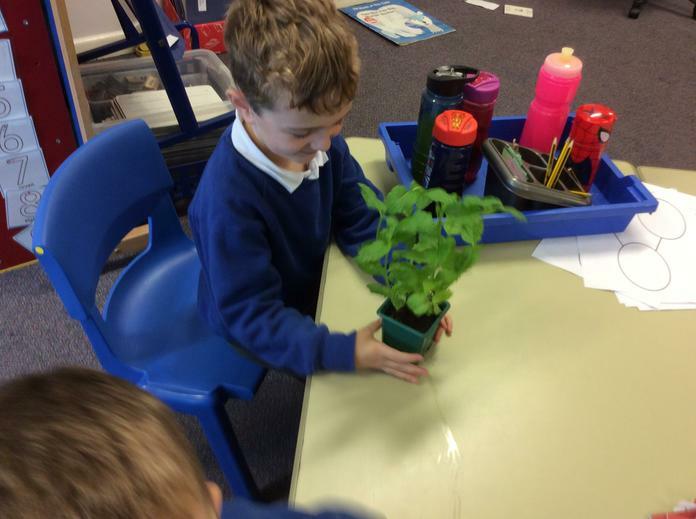 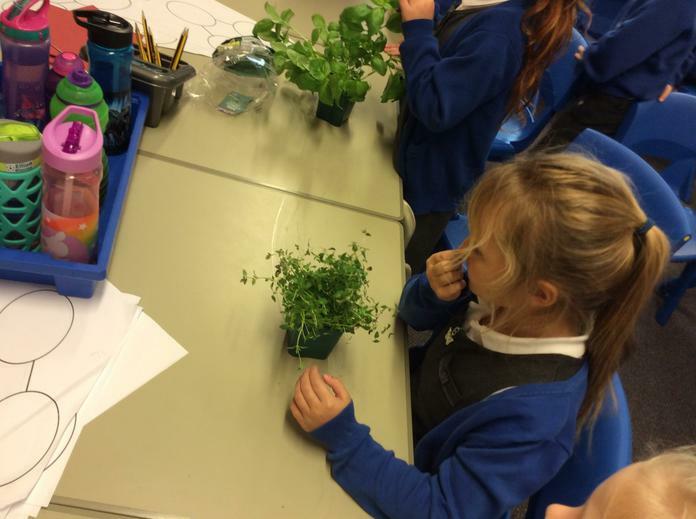 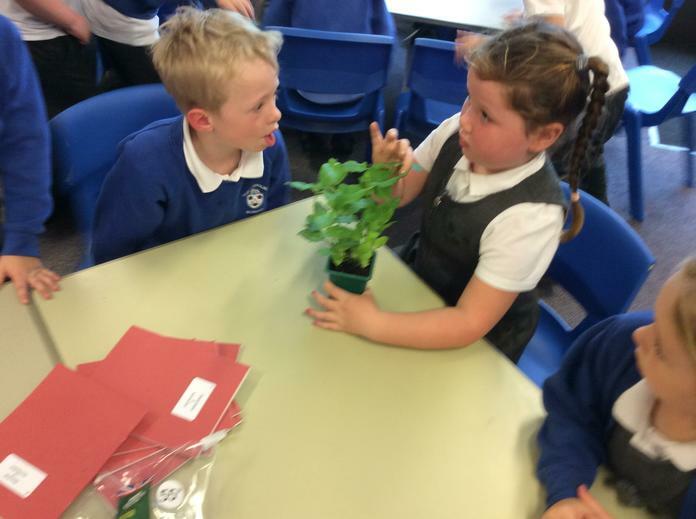 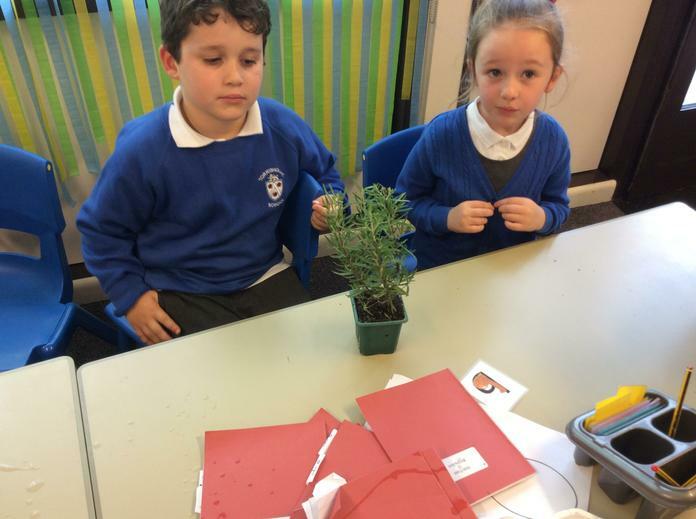 What's growing in Mr. McGregor's garden? 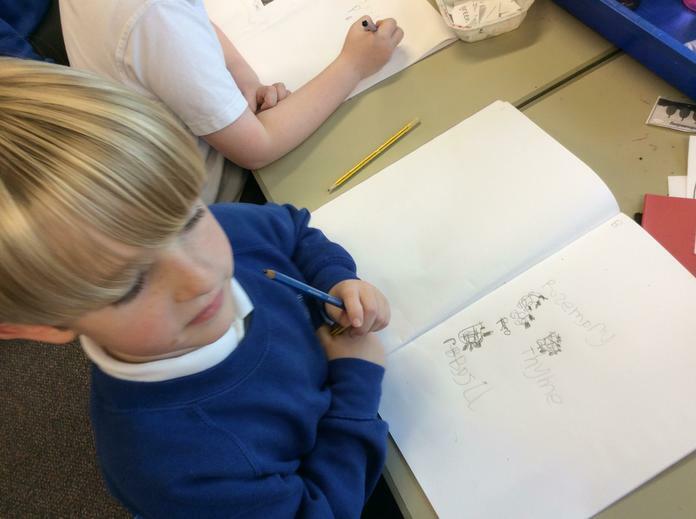 This week, we have been reading 'The Smartest Giant in Town' by Julia Donaldson. 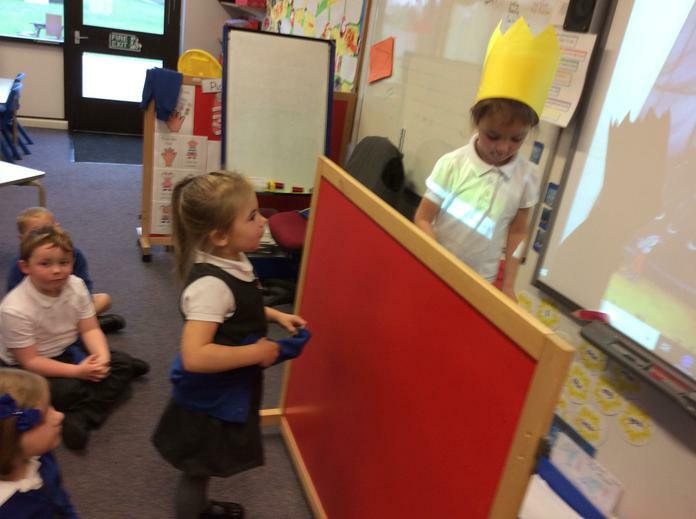 After discovering a bag of 'giant sized' clothes in our reading den we went on to have lots of fun completing some 'giant sized' challenges! 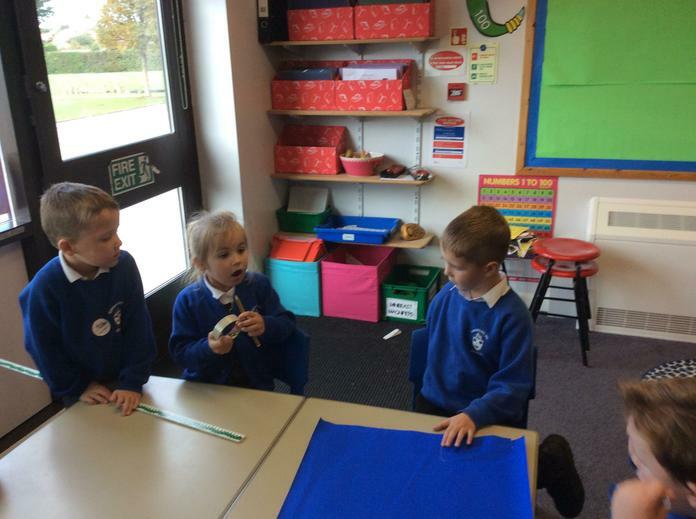 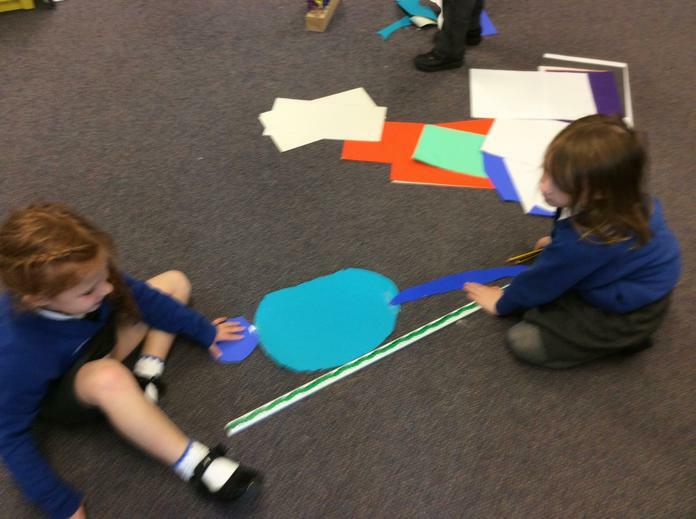 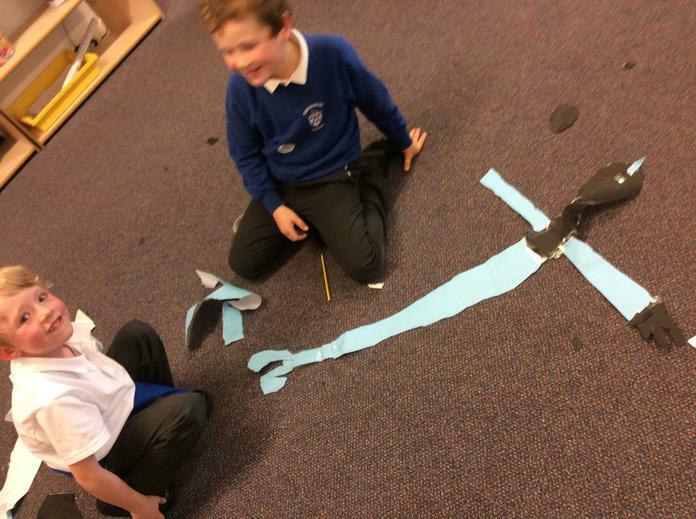 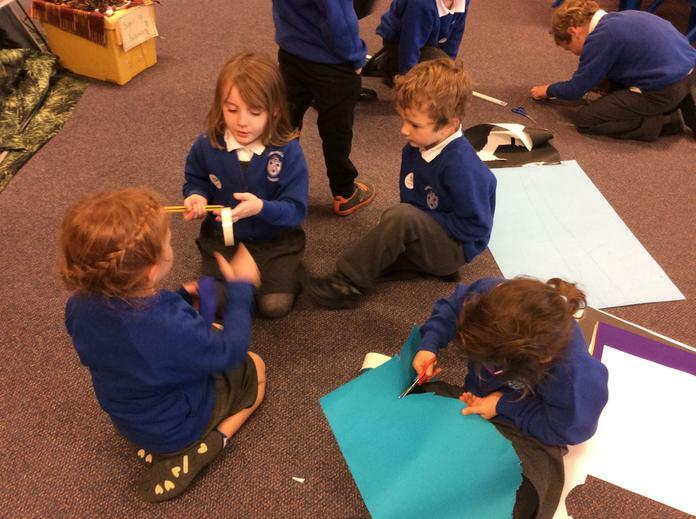 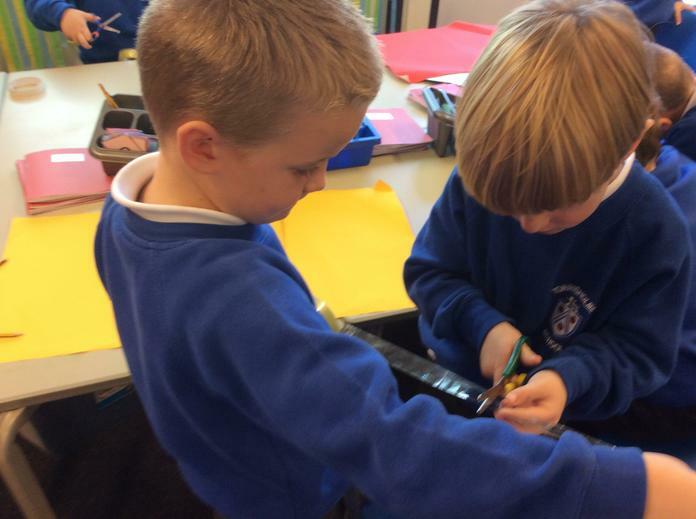 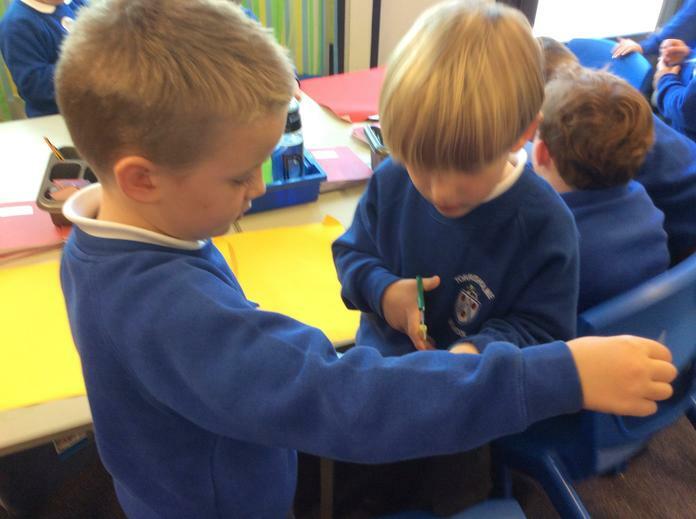 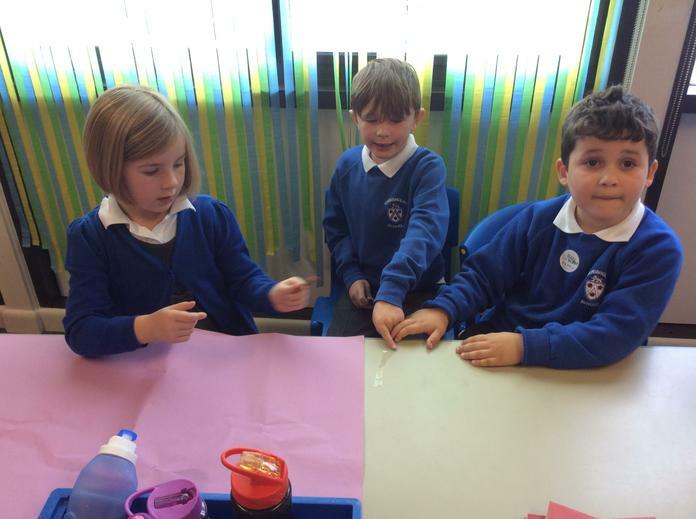 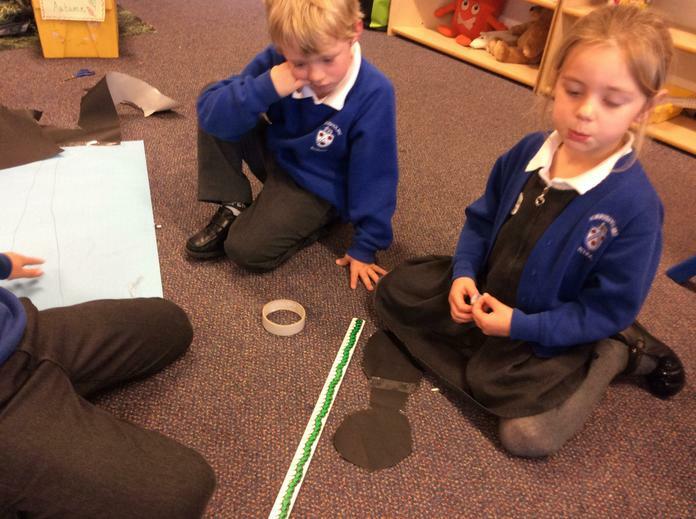 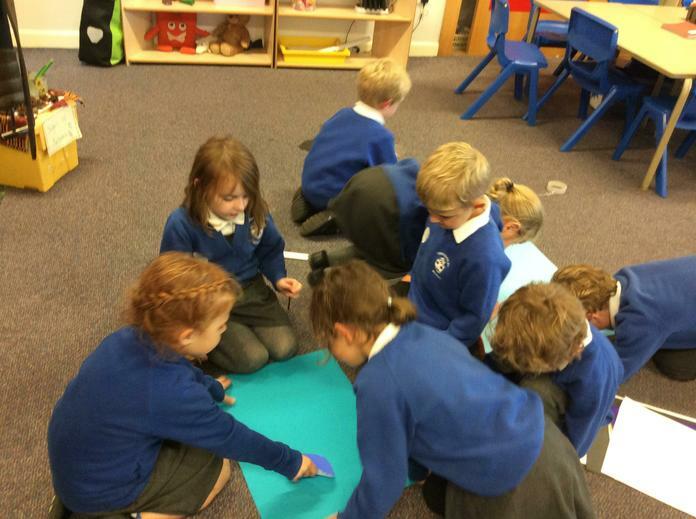 Work together to make a giant, which is taller than 1 metre, using only paper, scissors and Sellotape. 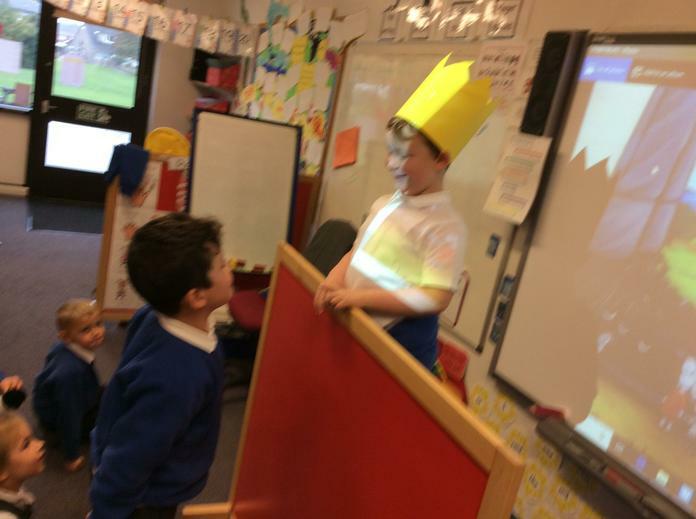 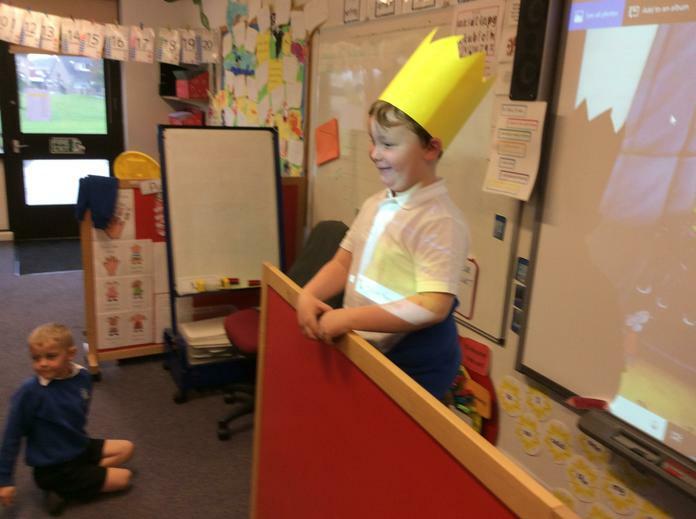 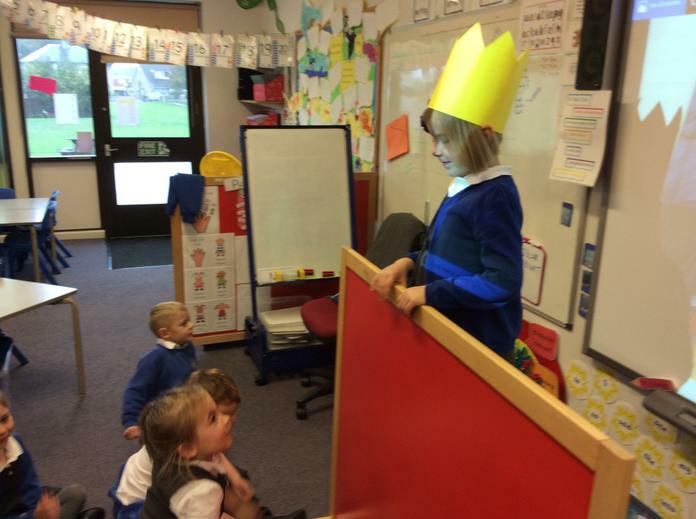 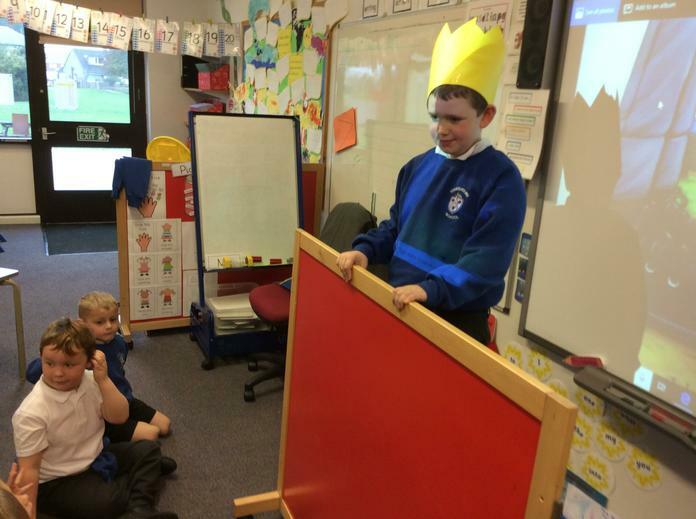 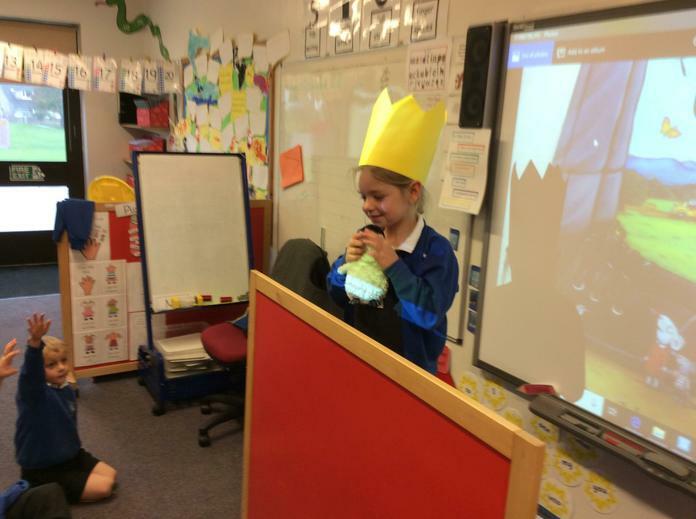 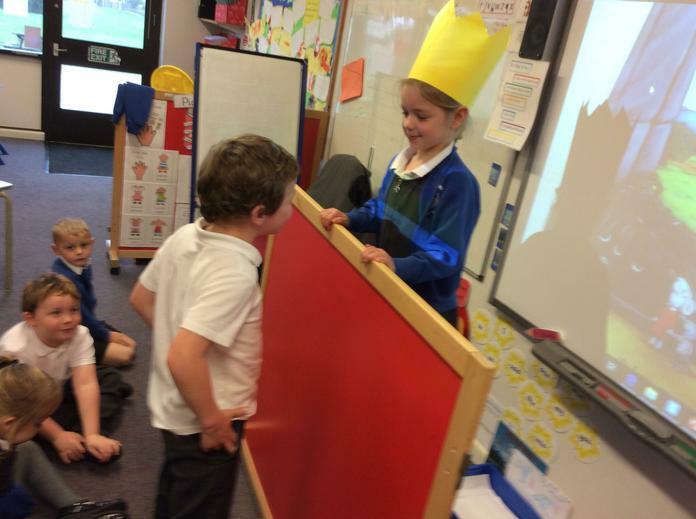 In Literacy we took on the roles of characters from the story of 'The Smartest Giant in Town'. 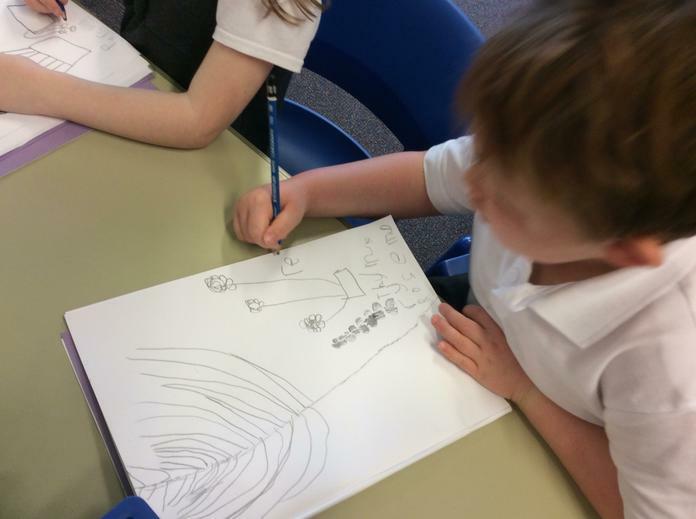 This week, during Literacy, we were introduced to Julia Donaldson's character of 'Superworm'. 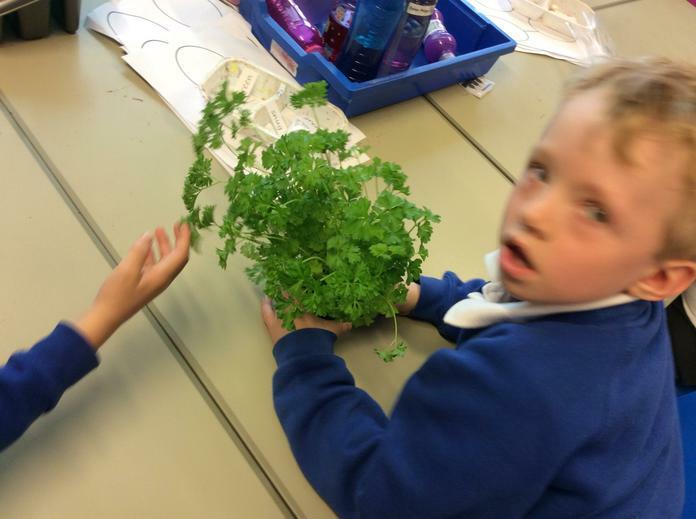 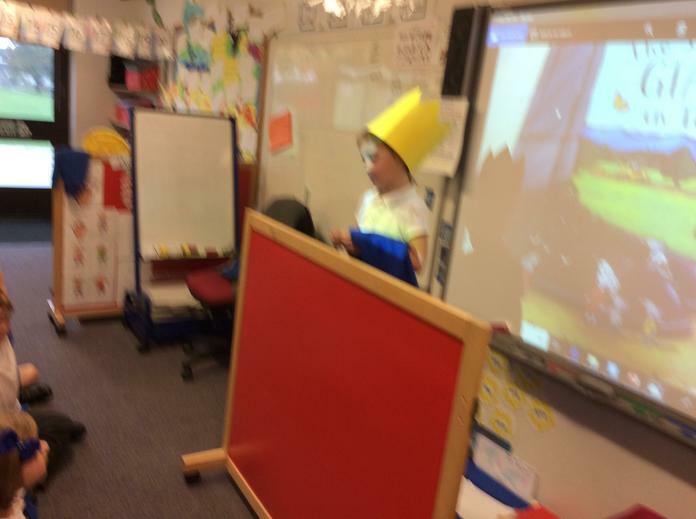 We have loved hearing all about his adventures and decided we wanted to find out more about these wiggly garden superheroes - but how were we going to tempt them out of their underground homes? 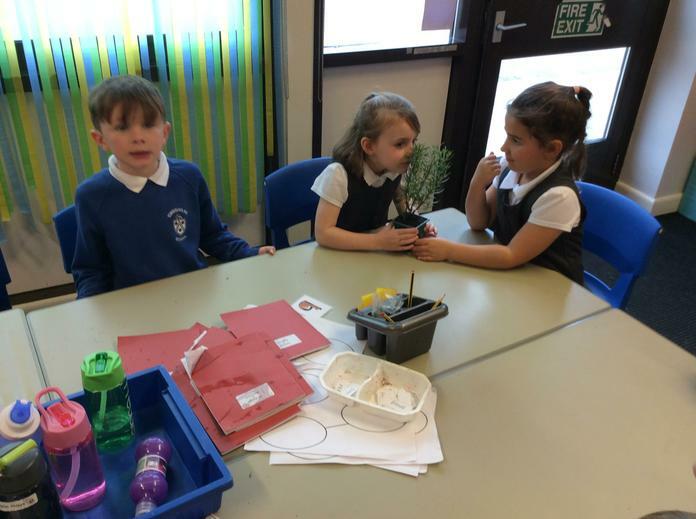 We experimented with a range of 'charming' techniques; singing, whispering, stamping, playing music and making vibrations with garden forks. 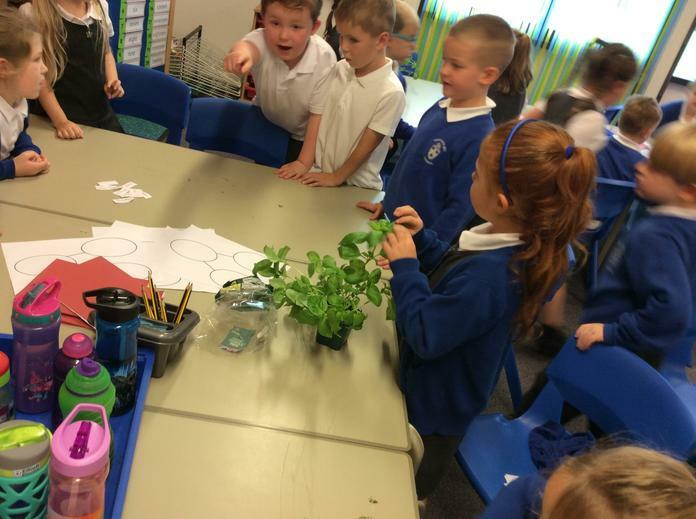 Even though we loved singing wormy songs and playing wiggly tunes it turns out the worms were most attracted to vibrations in the soil. 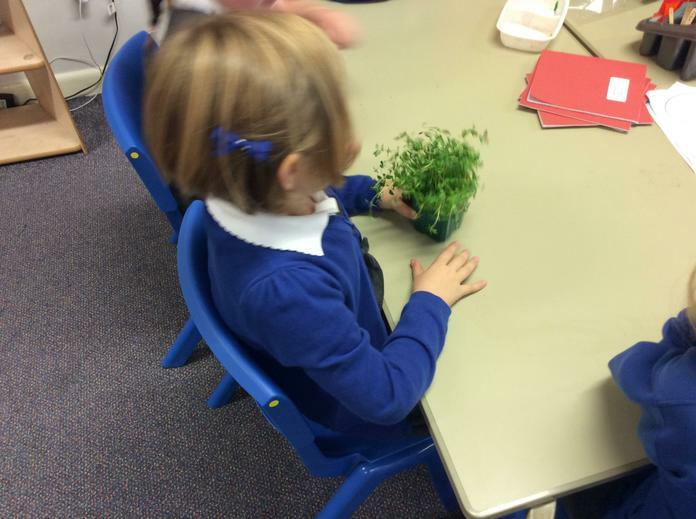 We were thrilled when they started popping out of the ground to say hello! 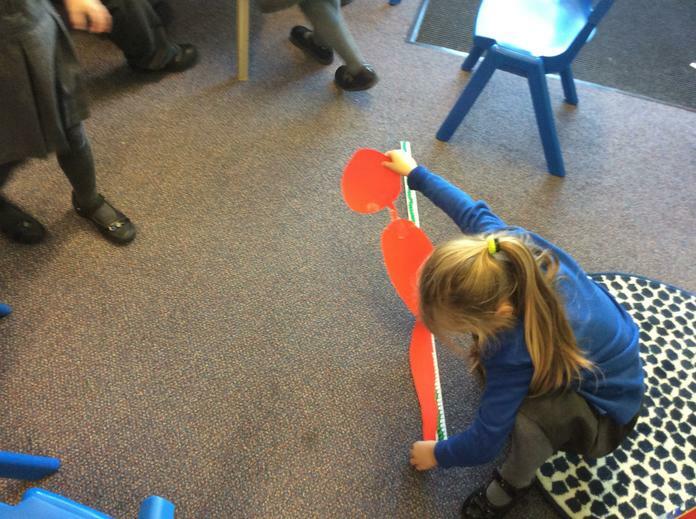 In this week's writedance session we practised using smooth flowing movements to create curved and loopy lines. 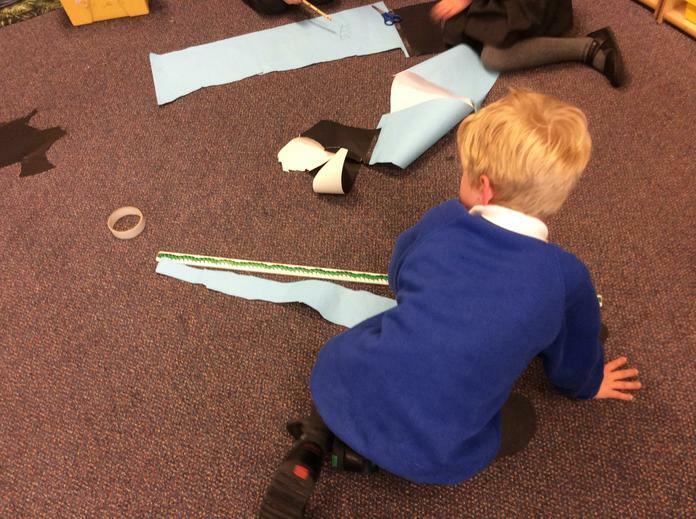 Hiding within the curves and loops we were able to find lots of different Krongelidong creatures. 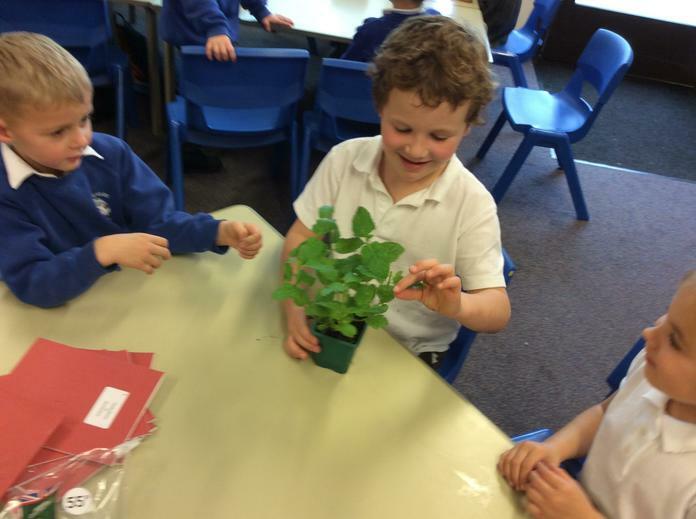 There were fish, snakes, cats and mice and even caterpillars! 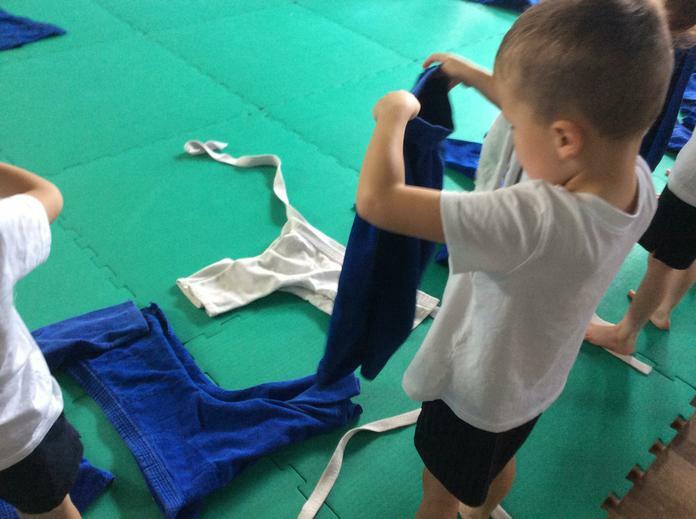 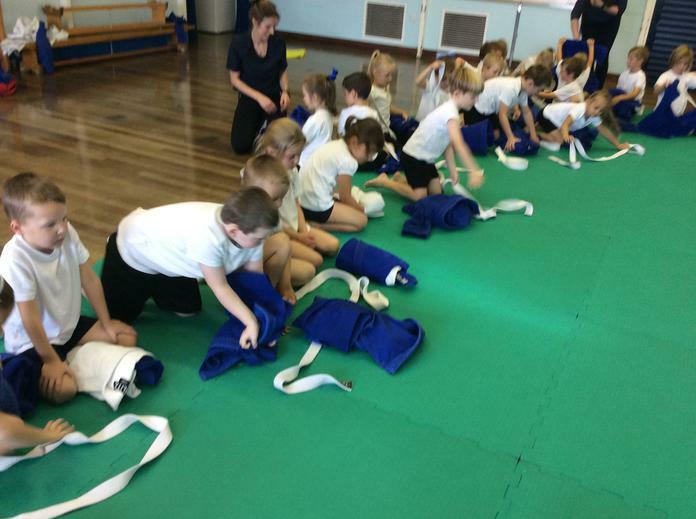 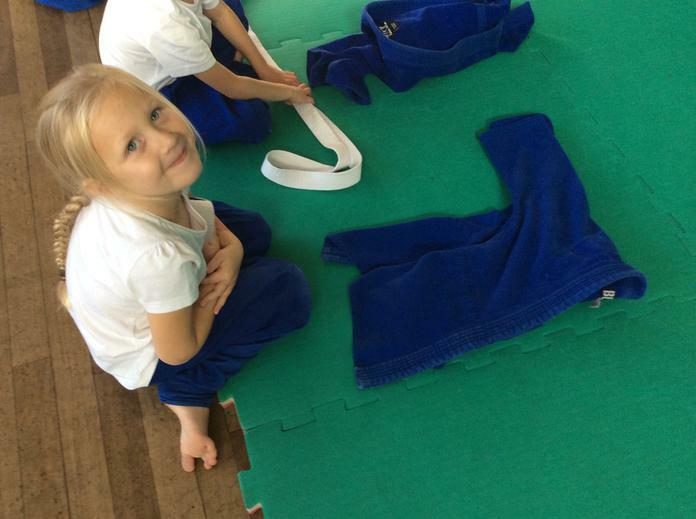 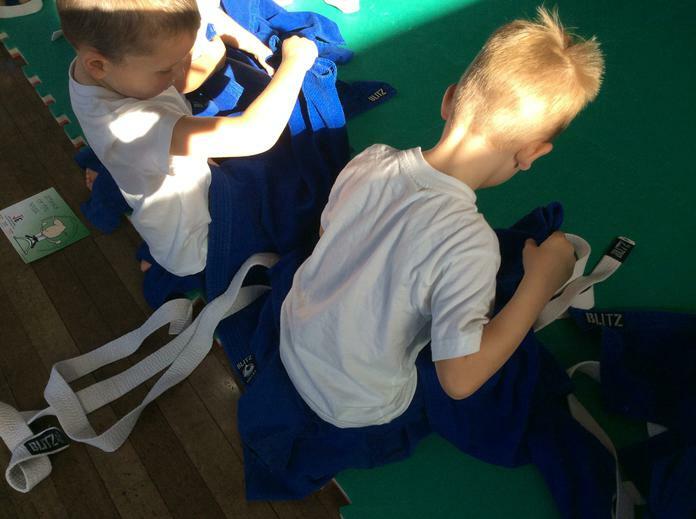 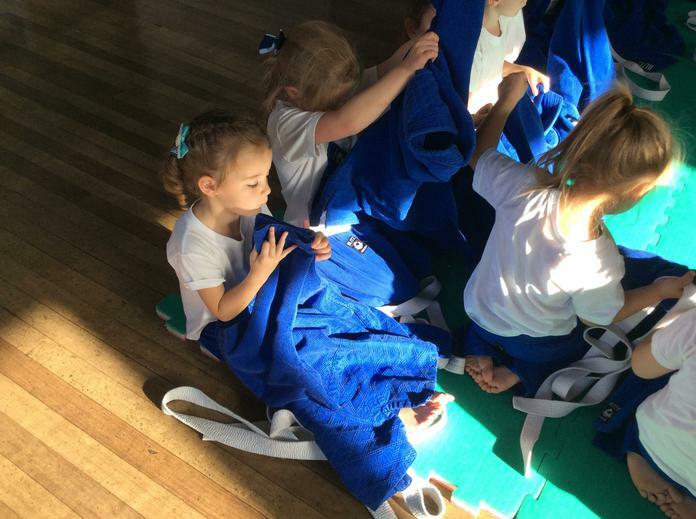 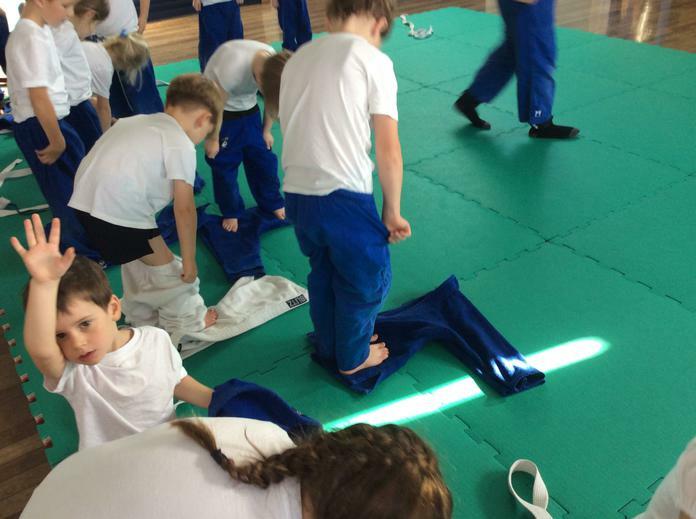 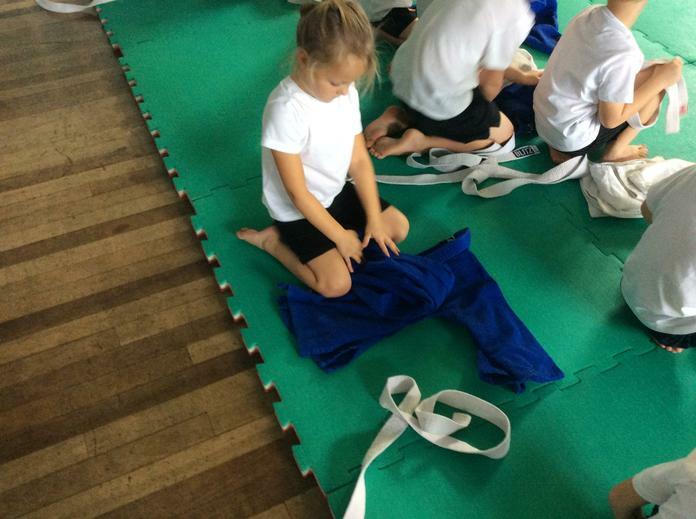 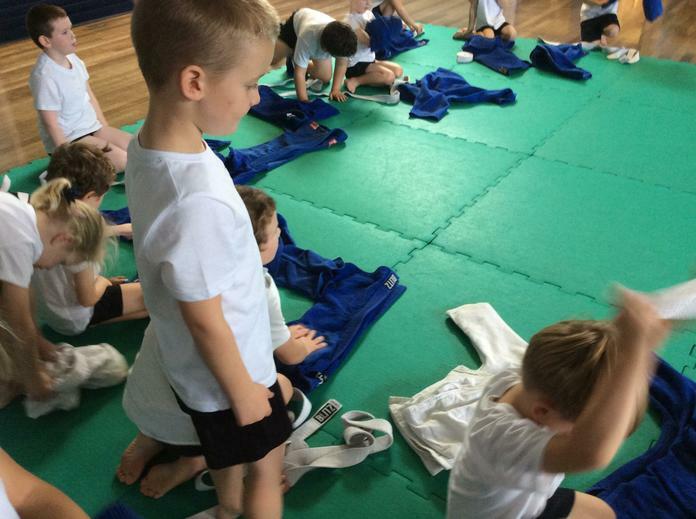 Look at how good we are at folding away our Judo jackets and trousers! 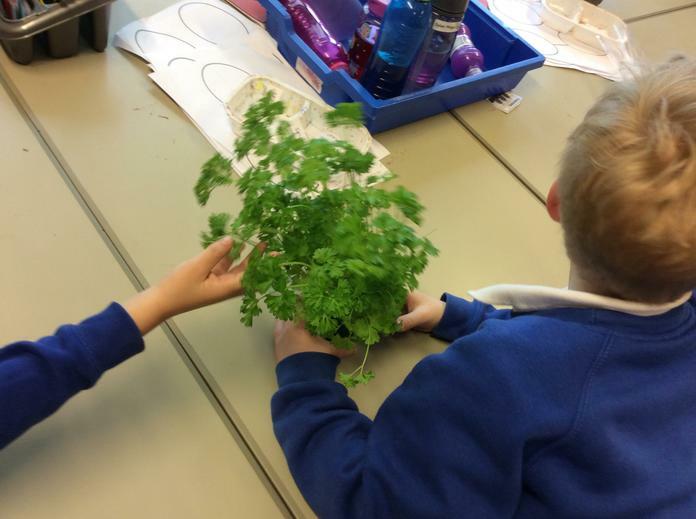 On Friday, we stepped into our wellies and enjoyed a super afternoon exploring all the different habitats within our school grounds. 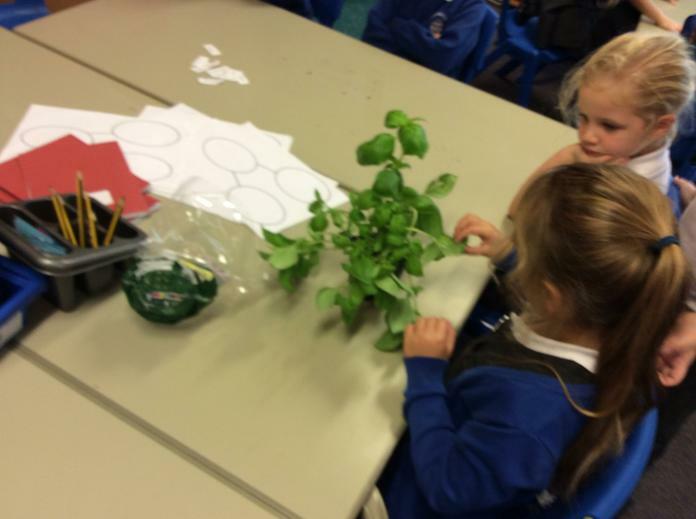 We even found a small family of toads hopping about in the wet leaves whilst we were exploring Acorn Corner. 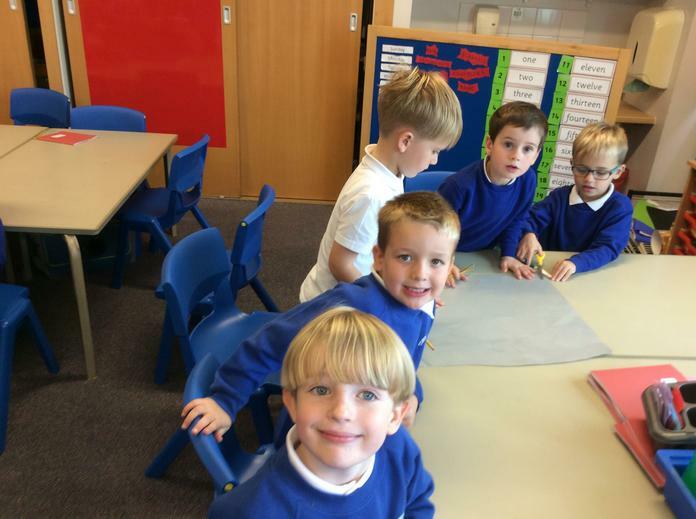 See if you can spot them in the photographs - they were very good at hiding away! 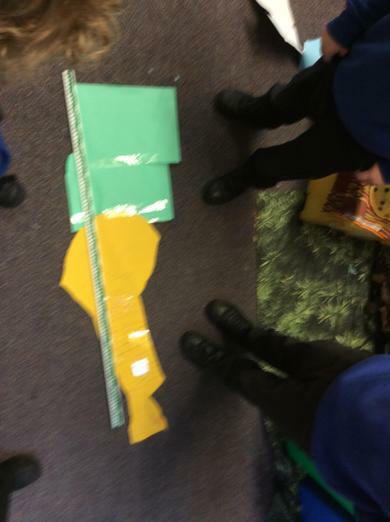 Also, check out our fantastic habitat maps. 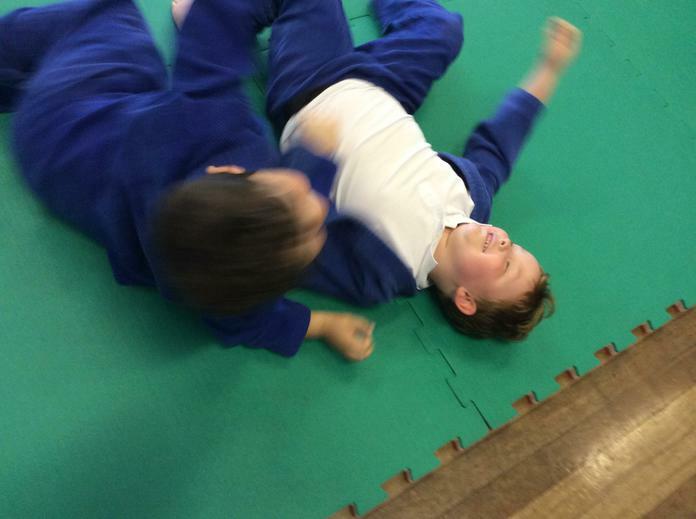 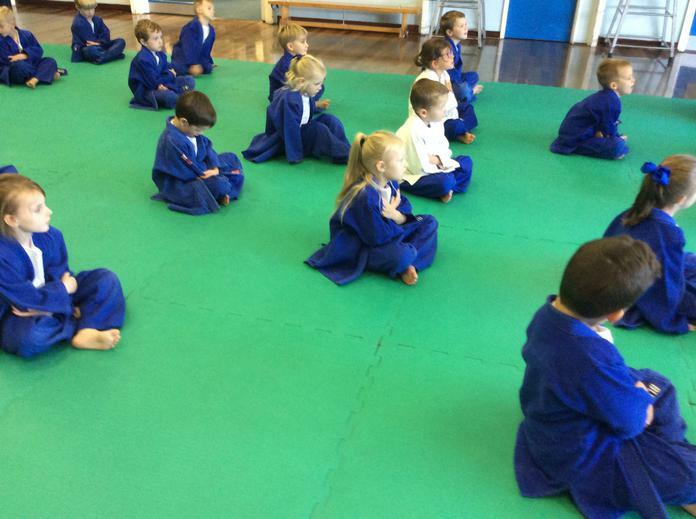 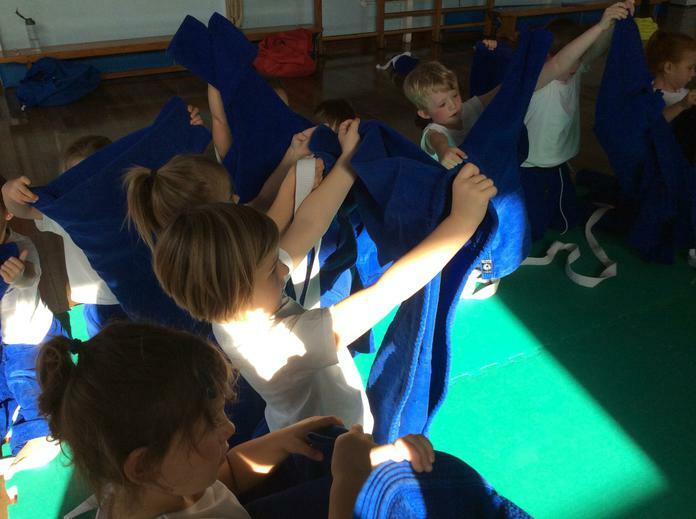 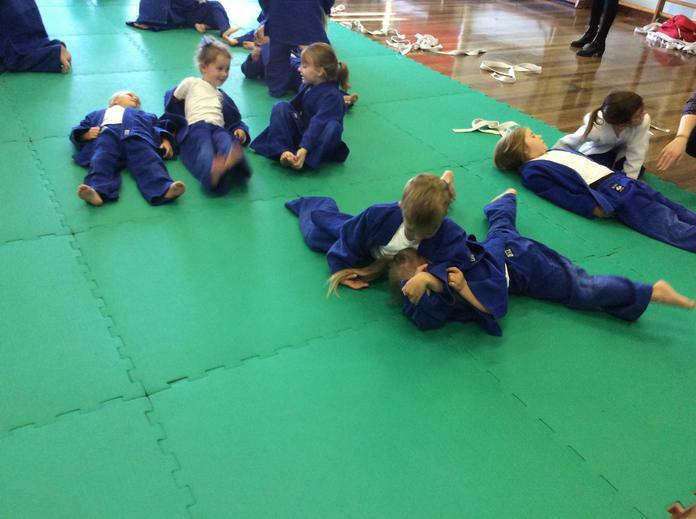 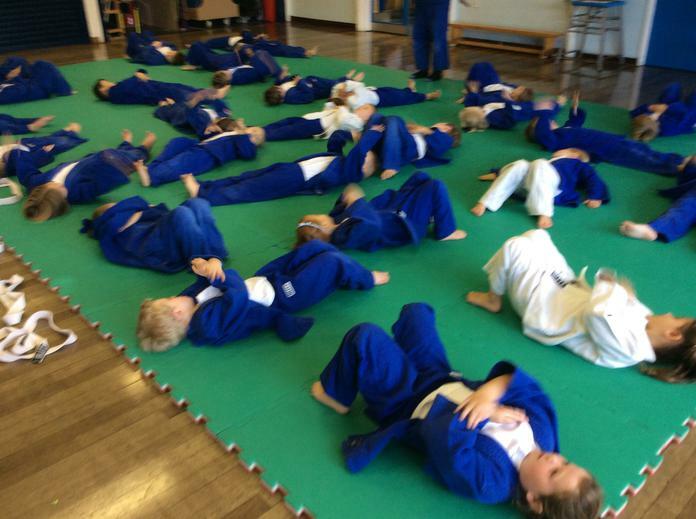 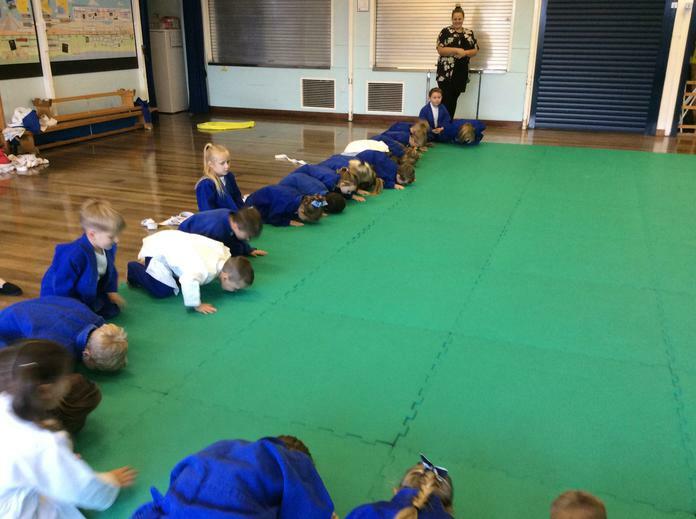 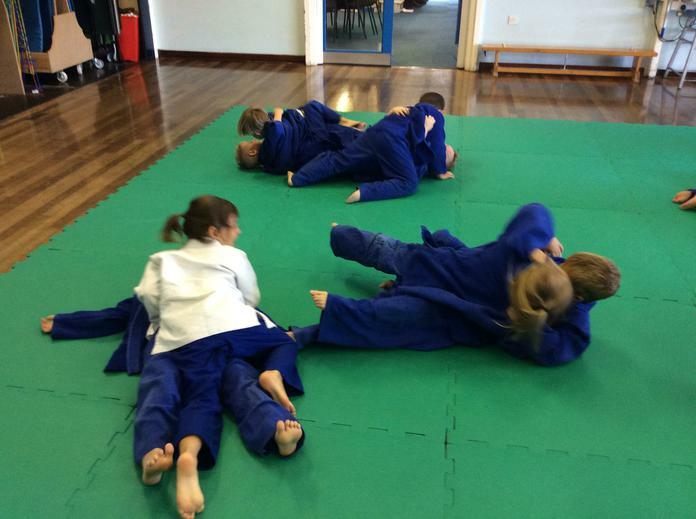 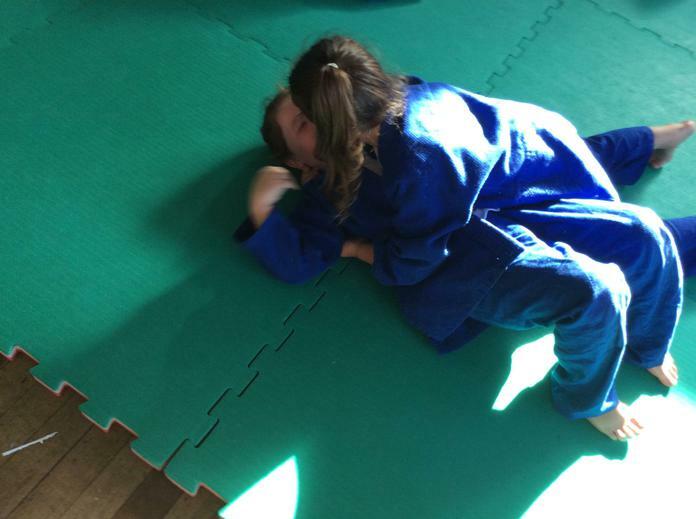 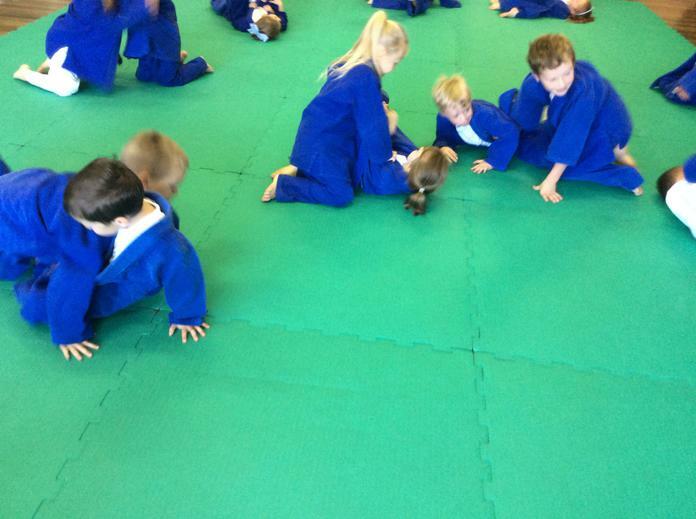 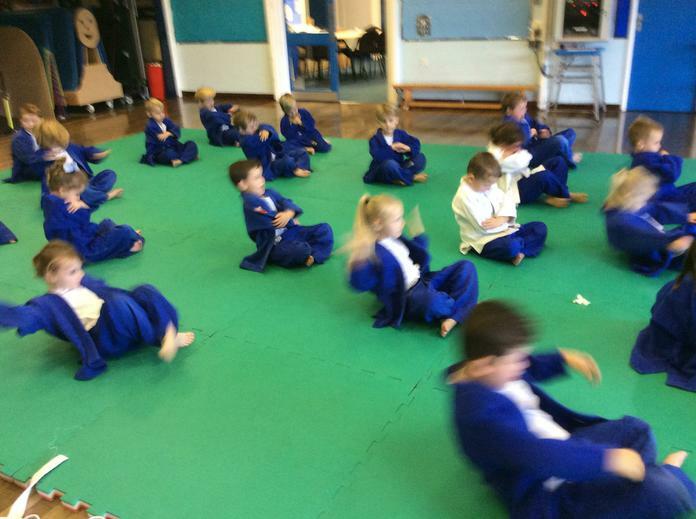 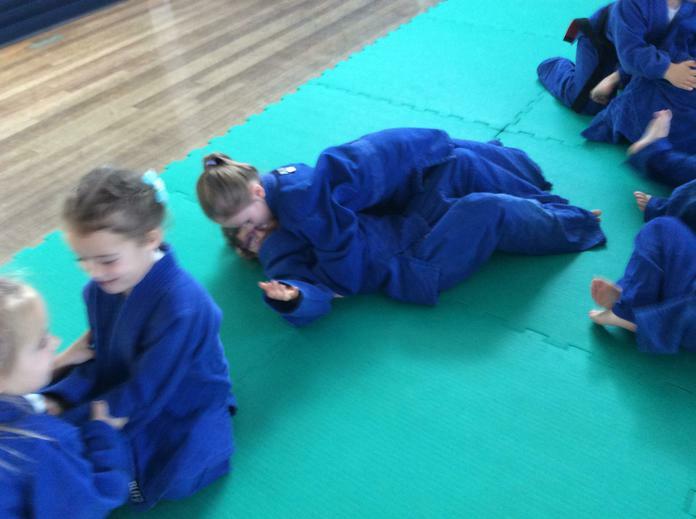 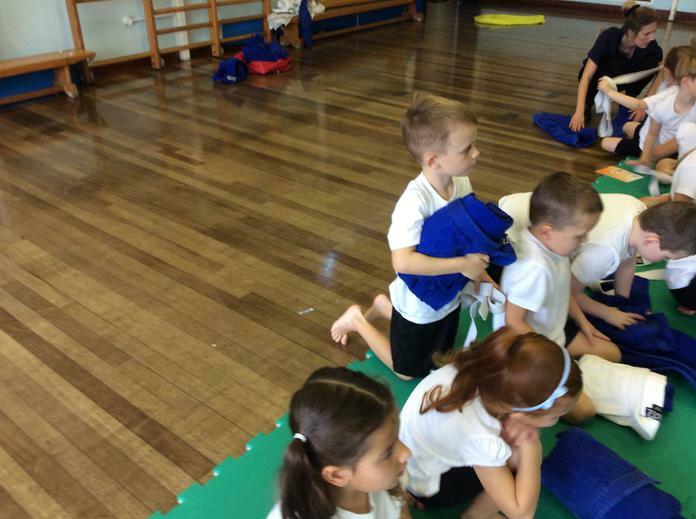 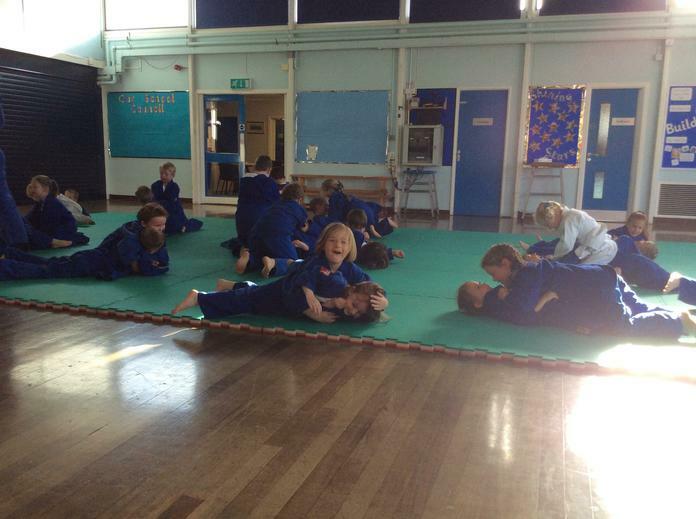 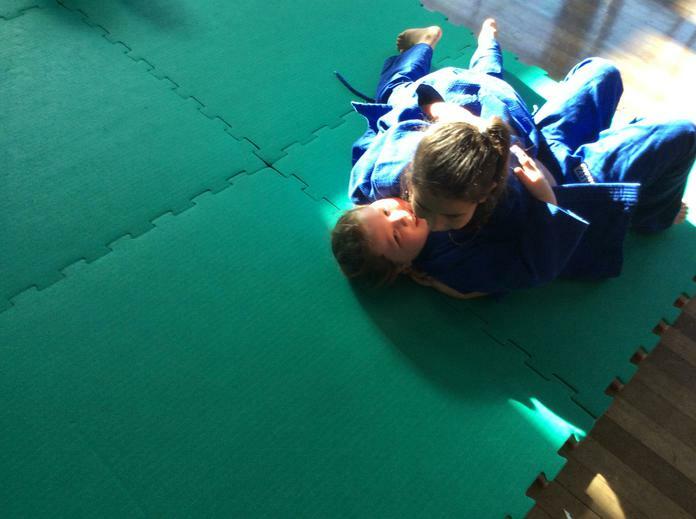 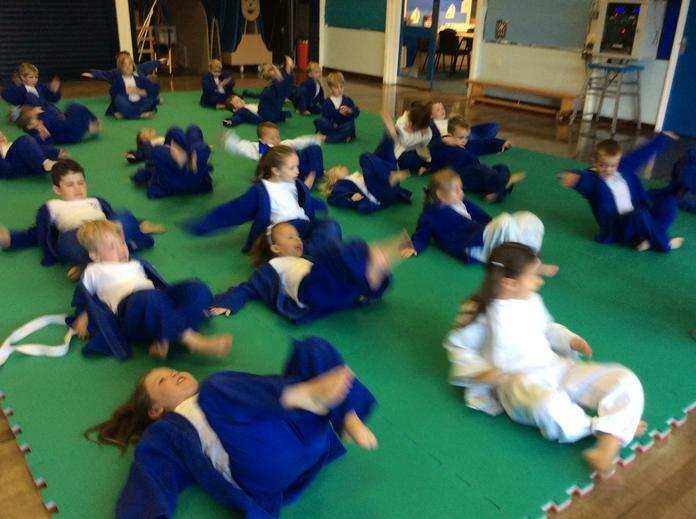 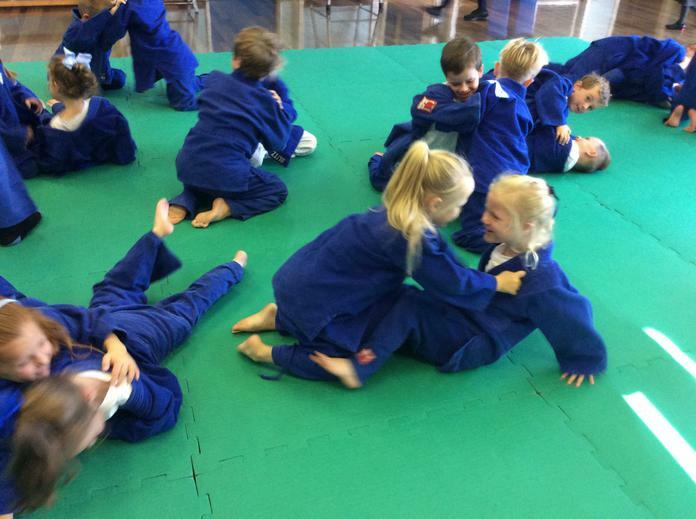 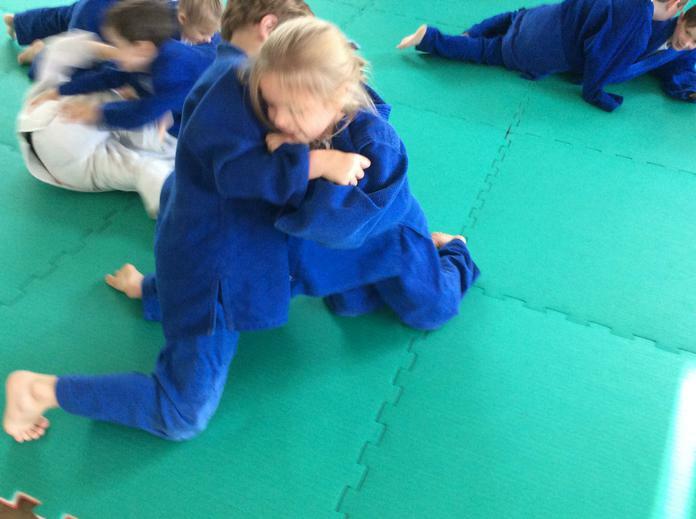 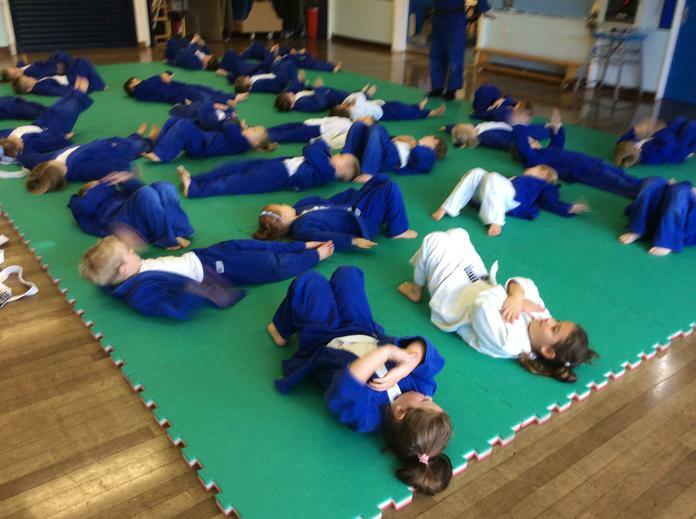 We worked really hard in our second Judo session. 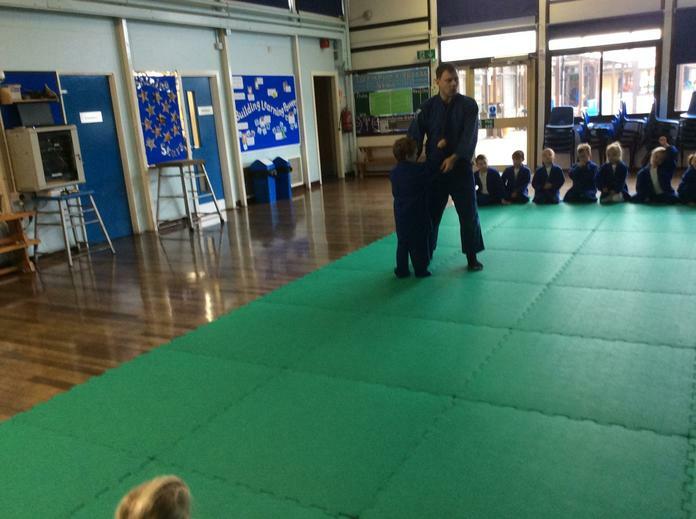 Freddie wore the black belt this week in recognition of his hard work during the previous session. 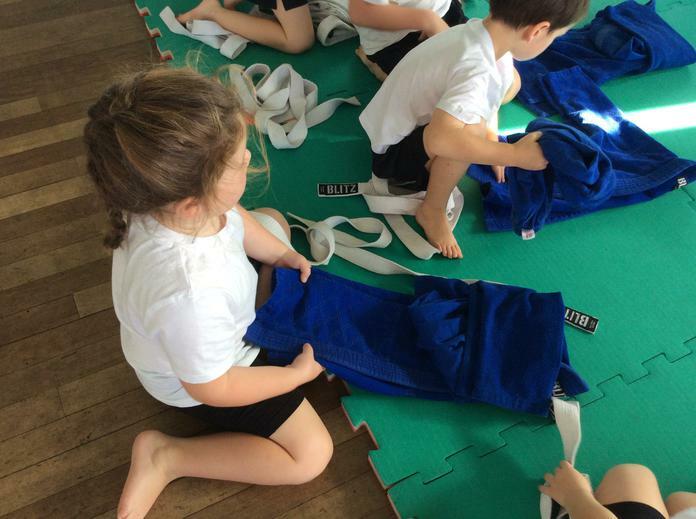 The children are getting much better at folding away their suits and were following the Japanese commands with more confidence. 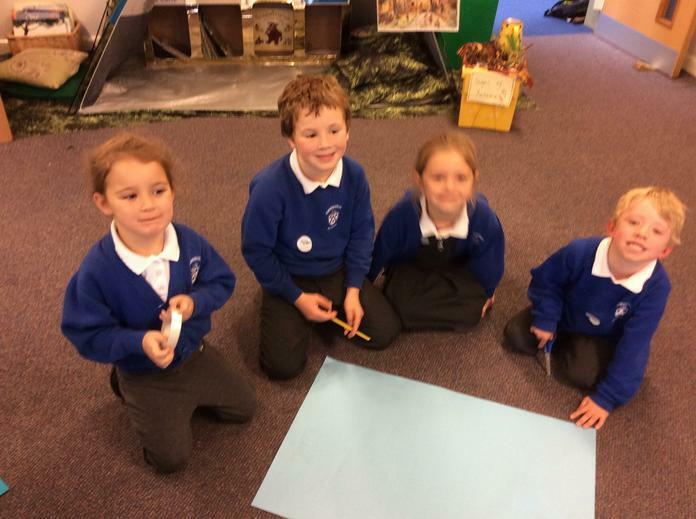 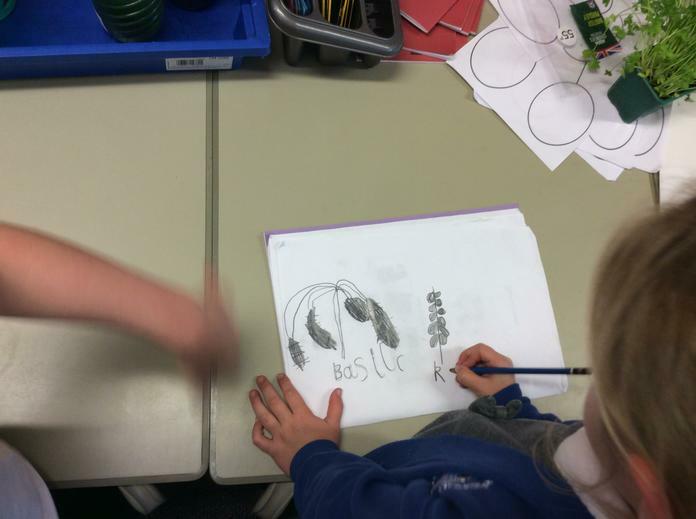 This week we have been learning how to identify mammals. 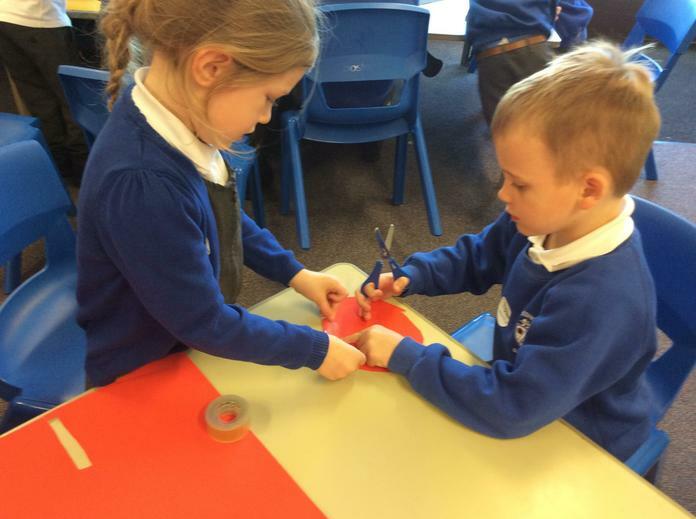 We then drew our favourite mammals and decorated them using tissue paper and watery glue - a technique used by Eric Carle in his picture books. 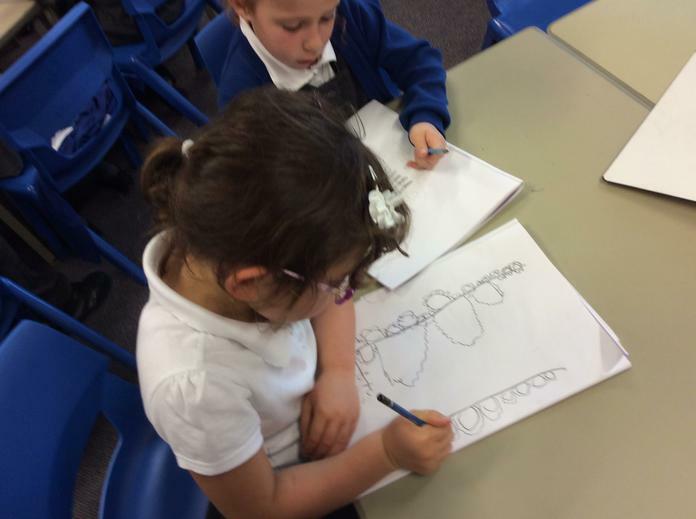 We have been creating our own 'Very Hungry Caterpillars' in the style of Eric Carle, this week's awesome author. 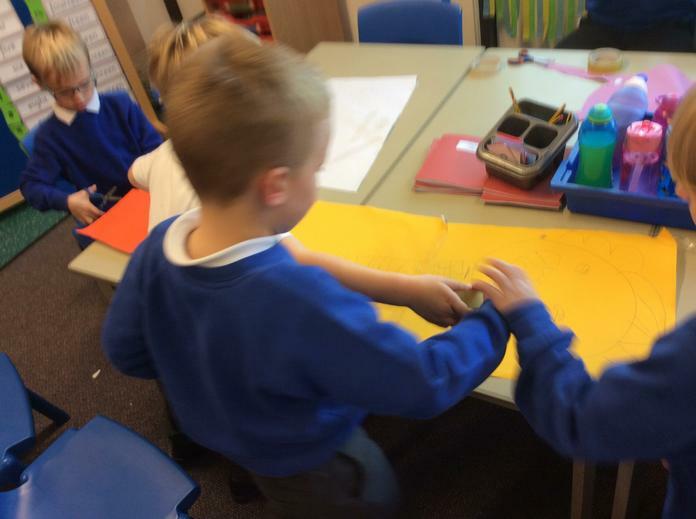 We mixed shades of green and orange paint in order to create our own sheets of craft paper. 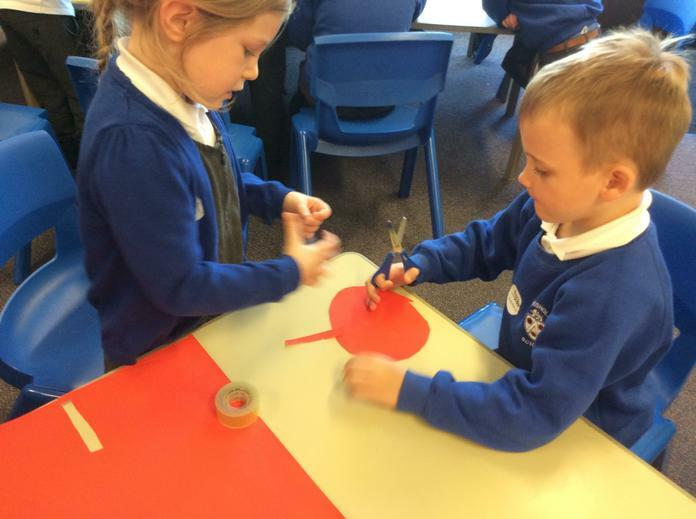 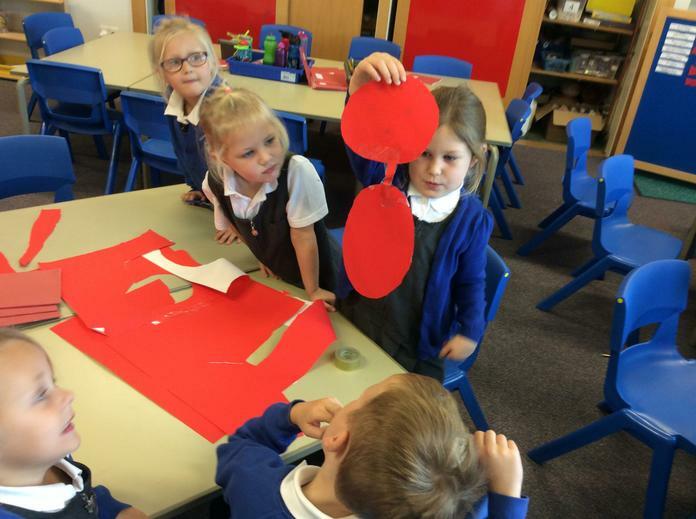 We then drew around circular templates before carefully cutting them out and using them to design a wiggly caterpillar shape. 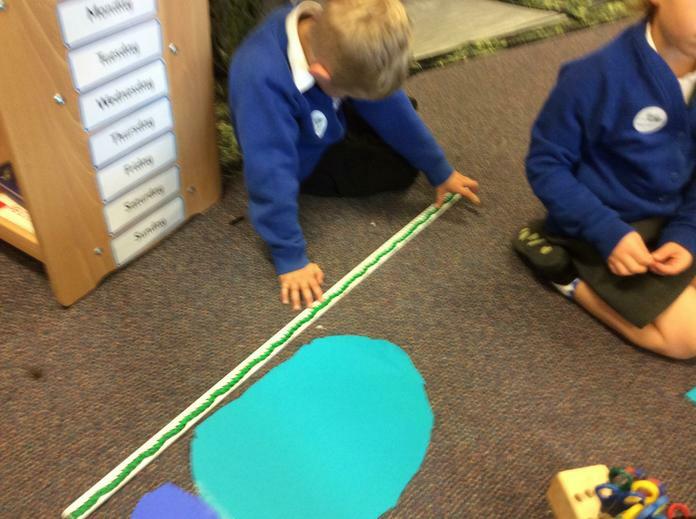 Finally, we used pastels to draw on the finishing touches, which helped our caterpillars come to life. 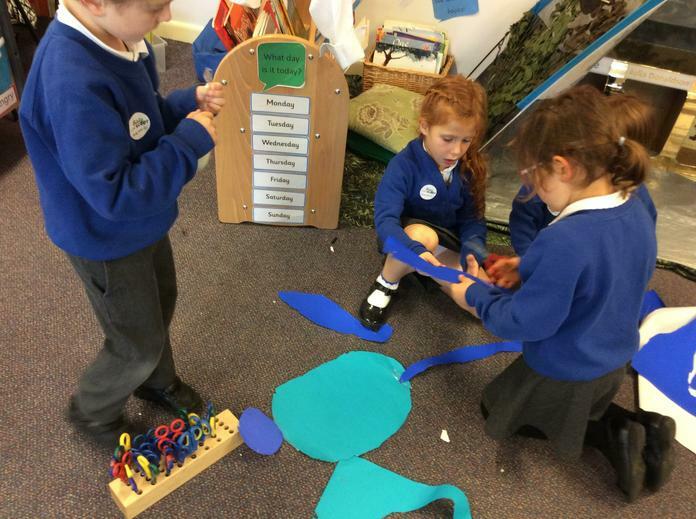 Our caterpillars will be displayed in the key stage 1 corridor - feel free to pop in and admire our work! 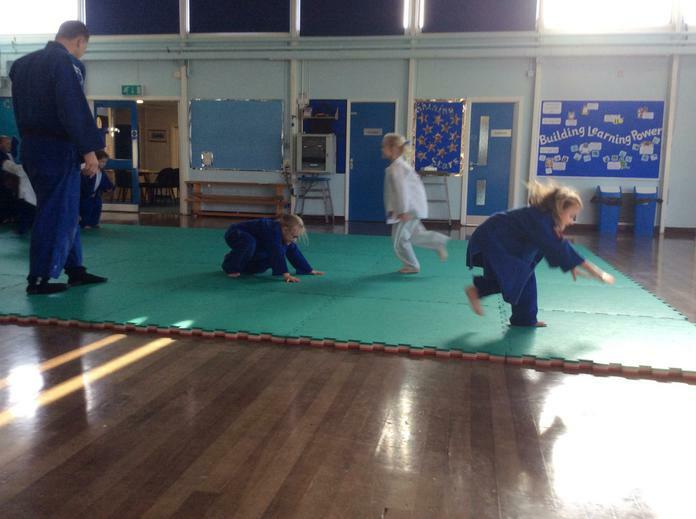 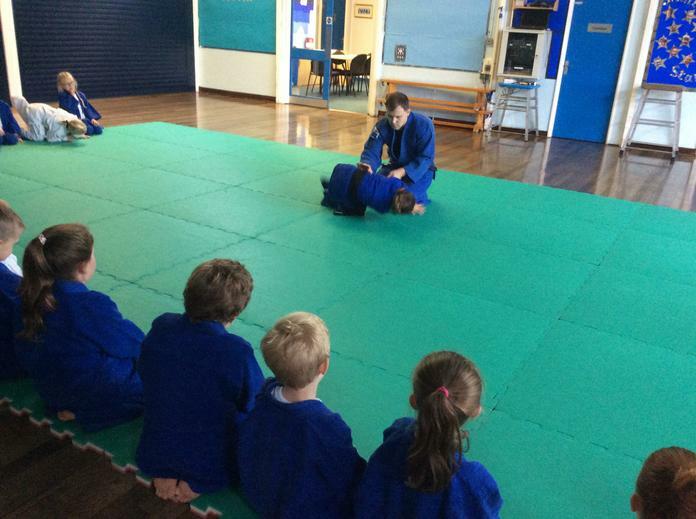 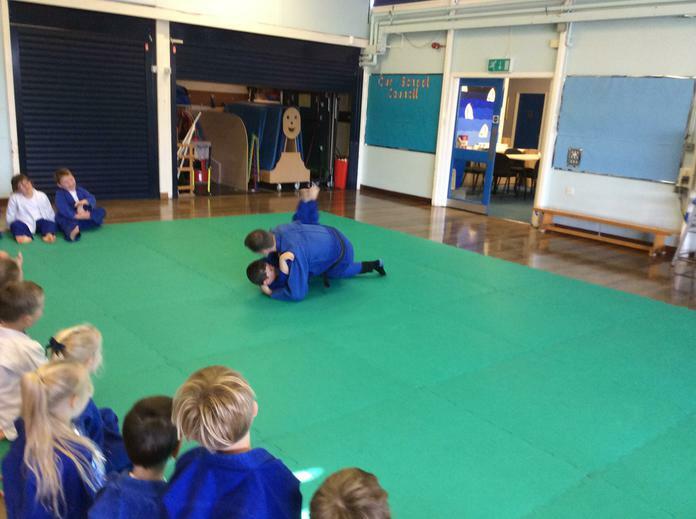 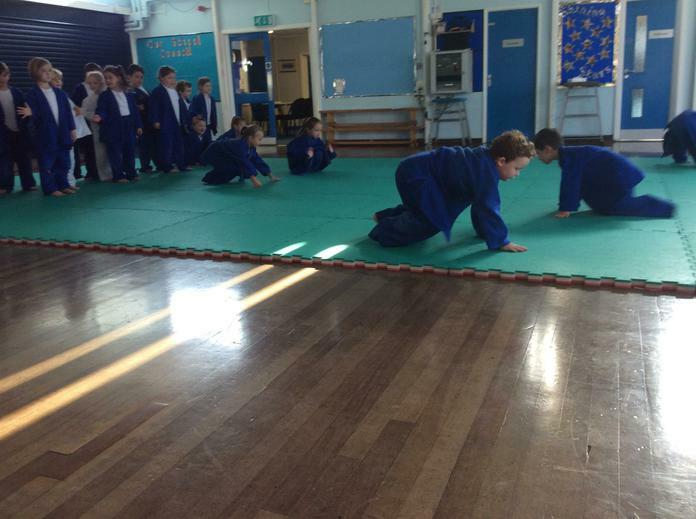 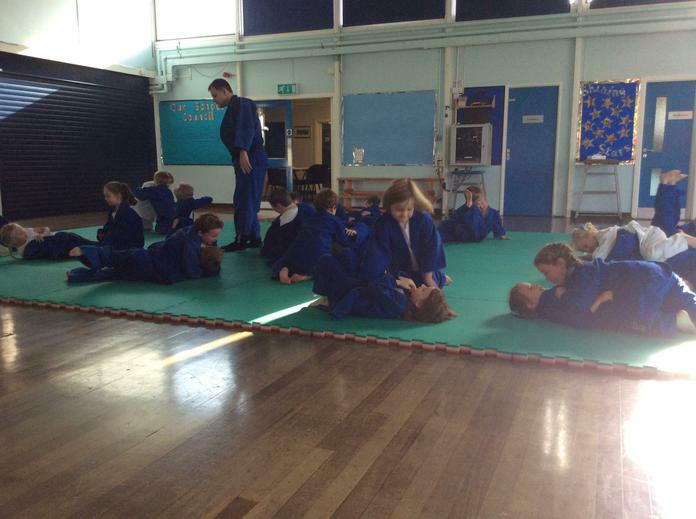 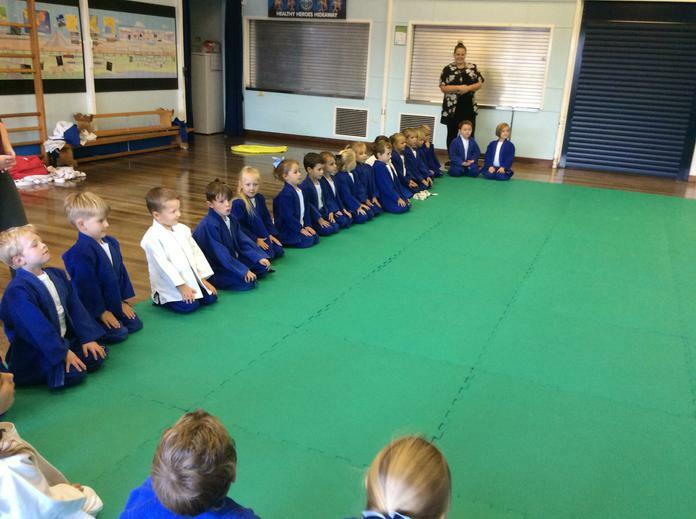 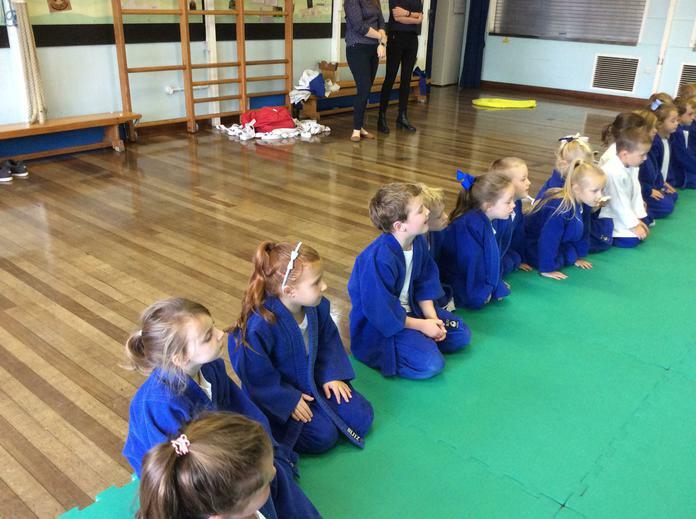 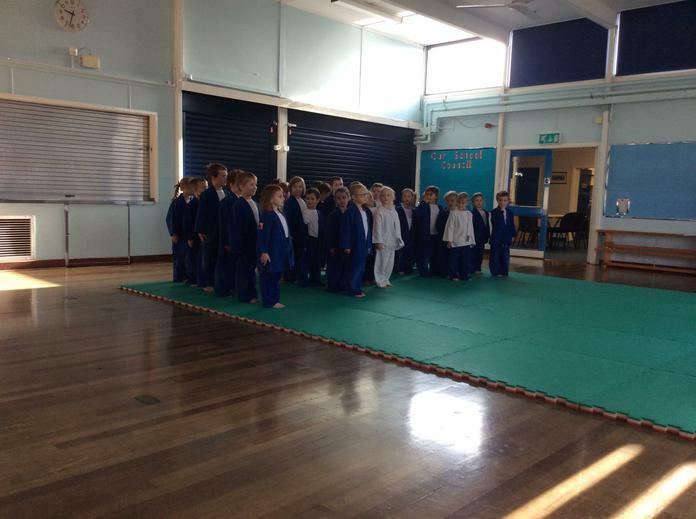 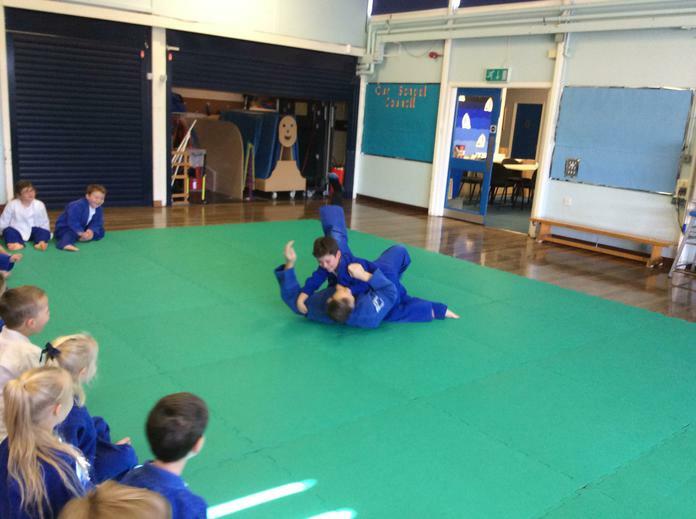 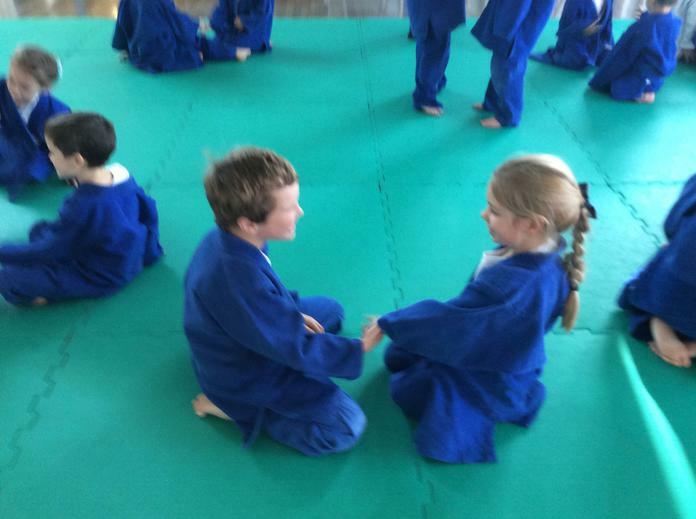 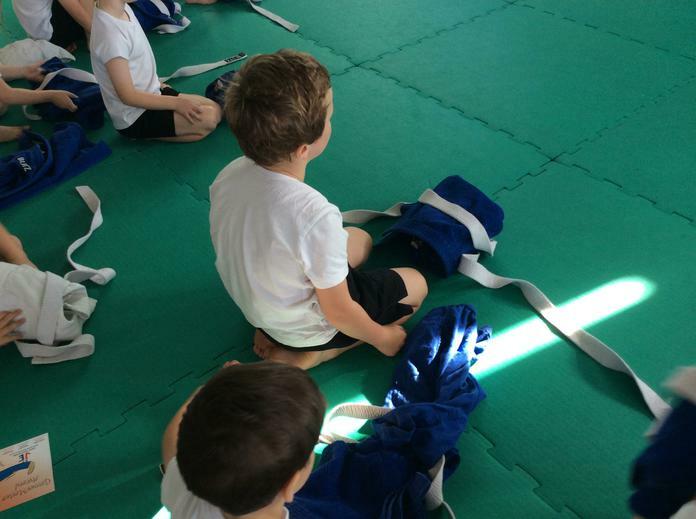 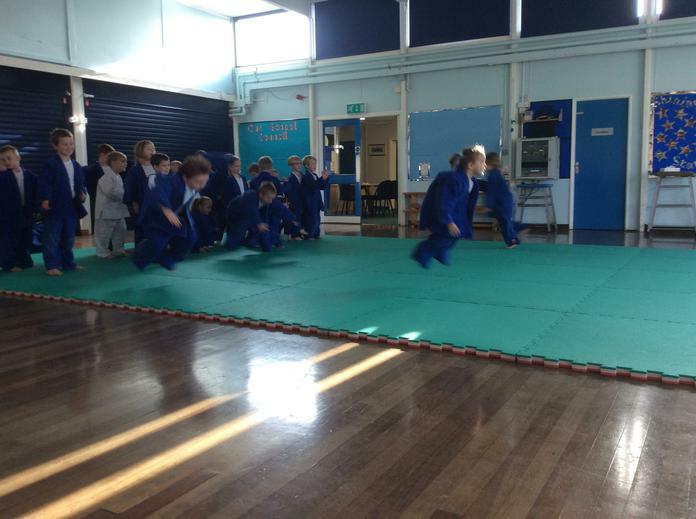 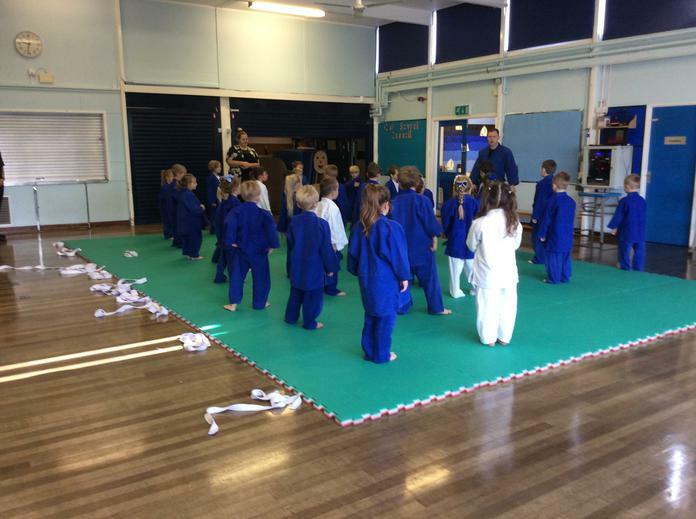 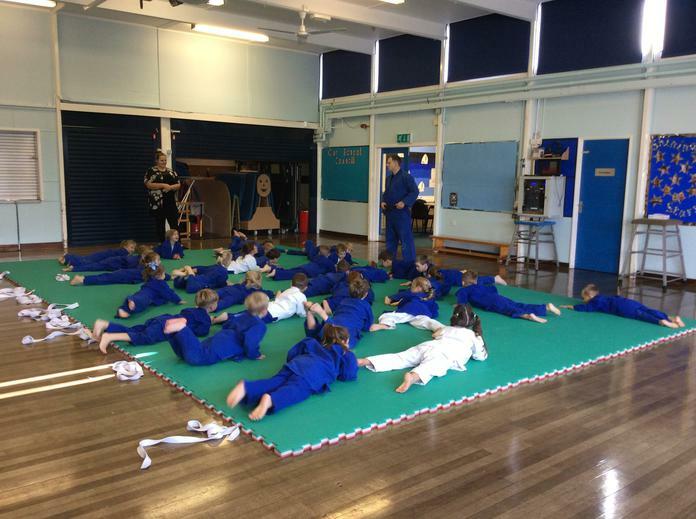 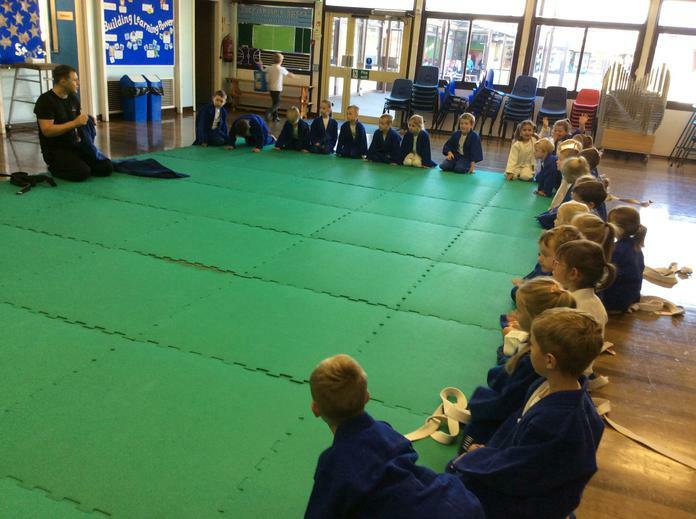 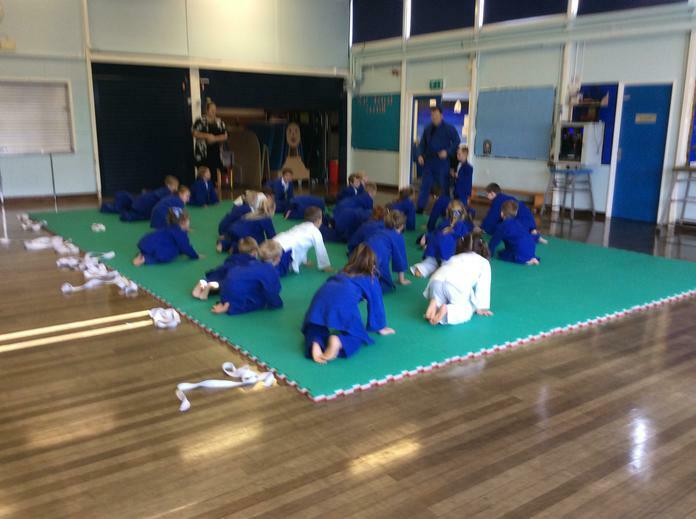 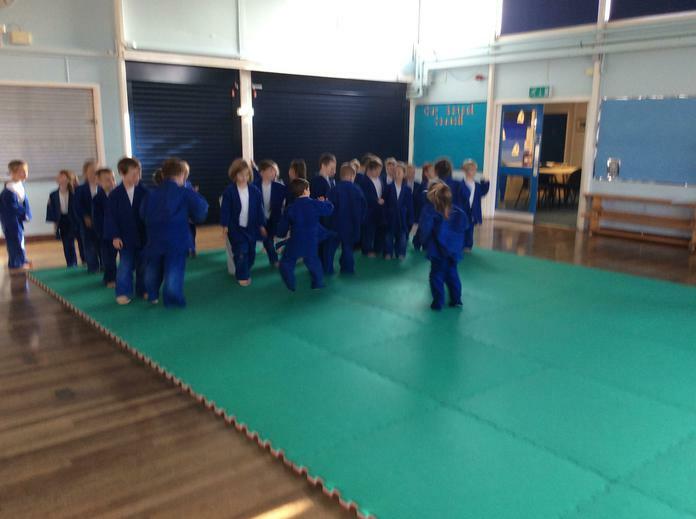 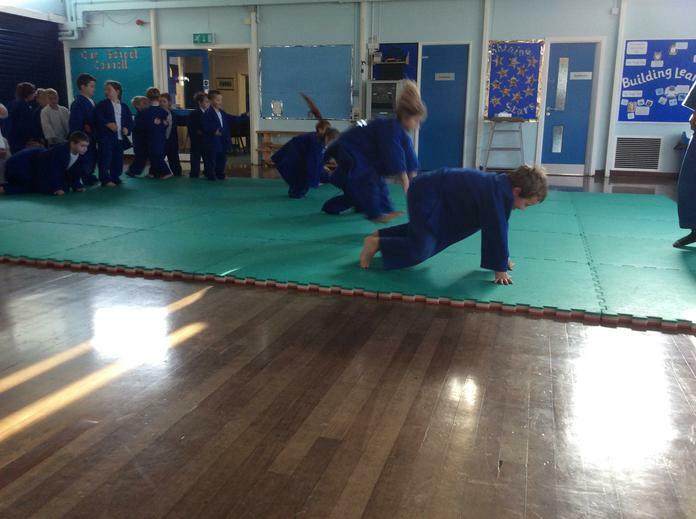 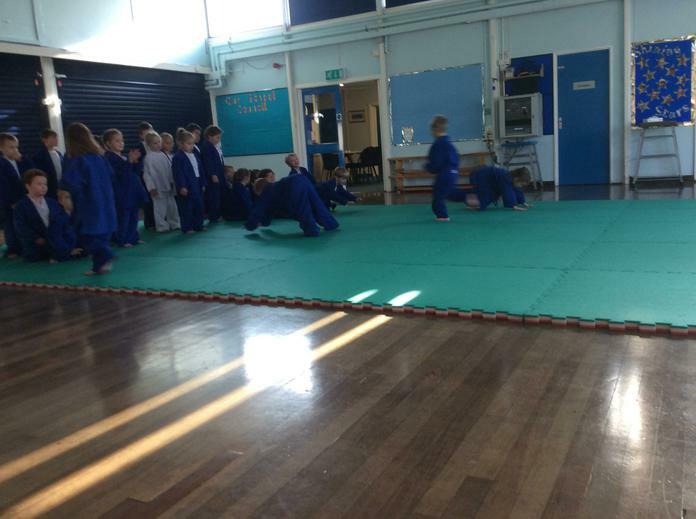 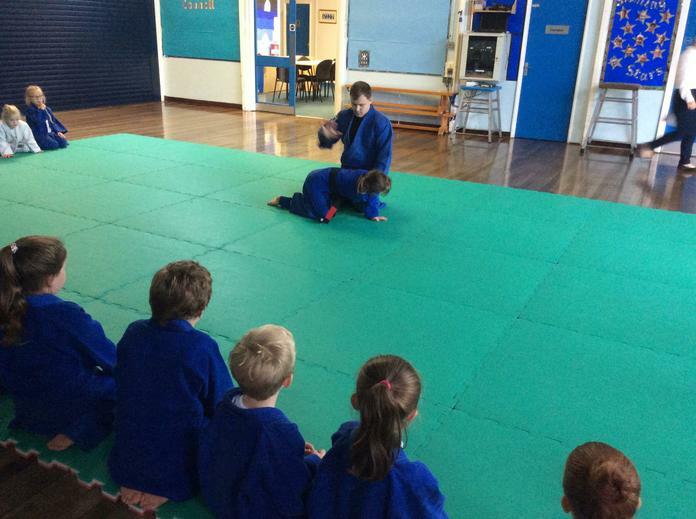 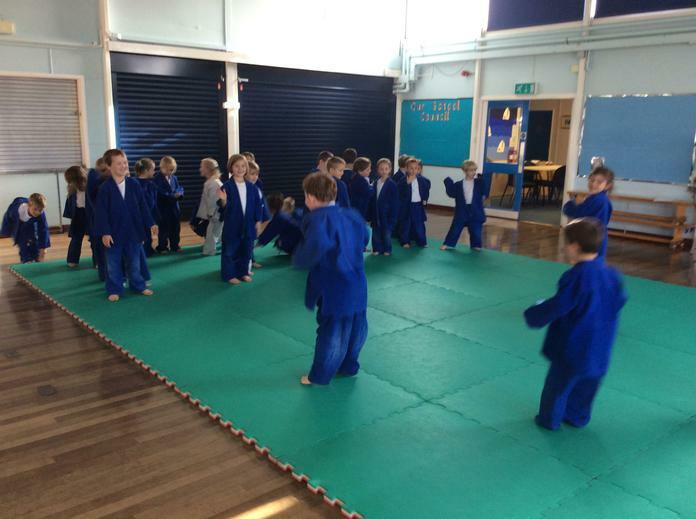 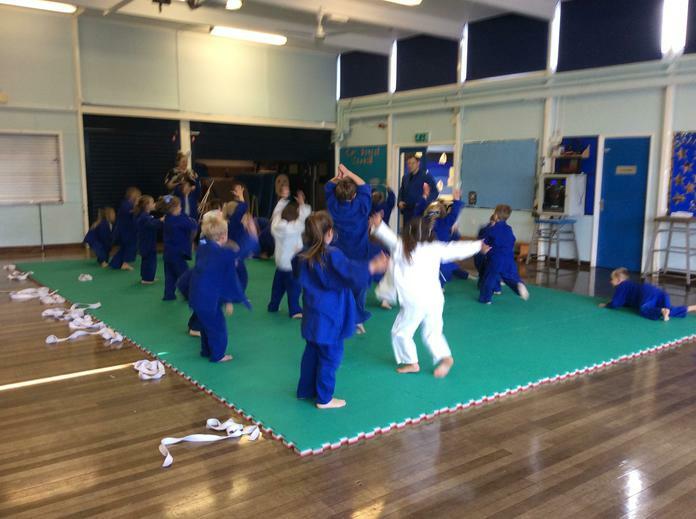 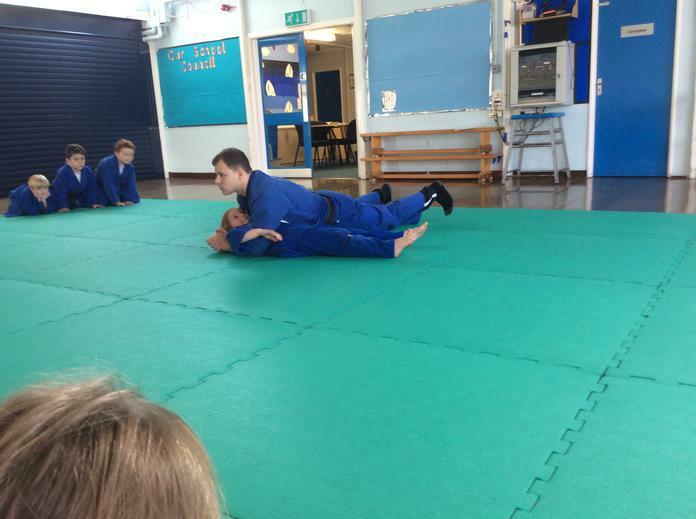 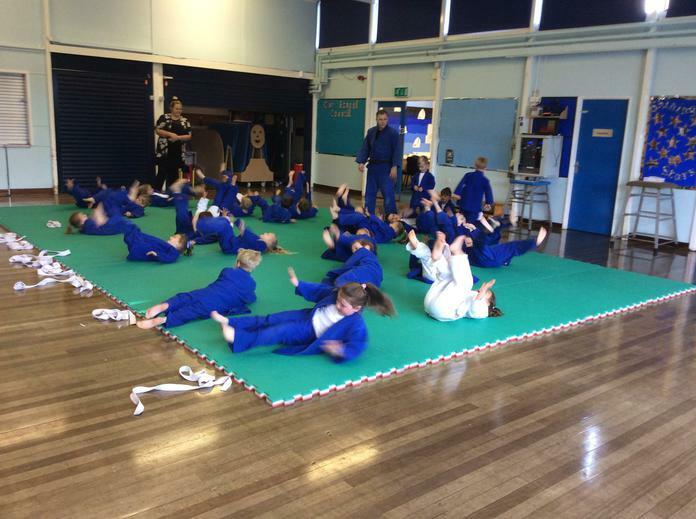 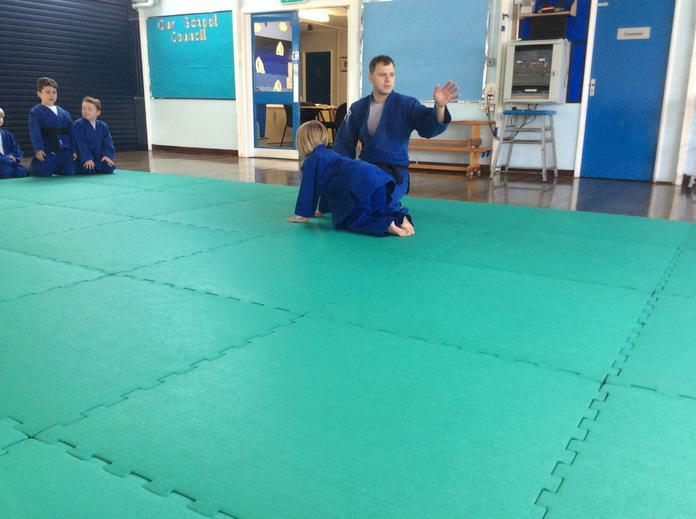 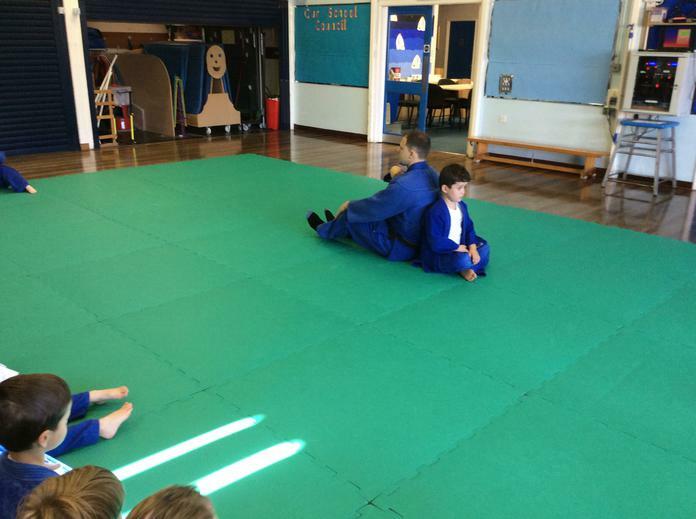 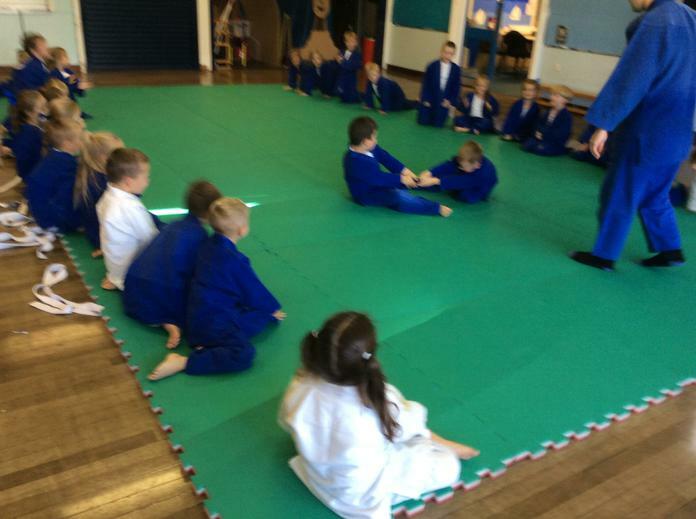 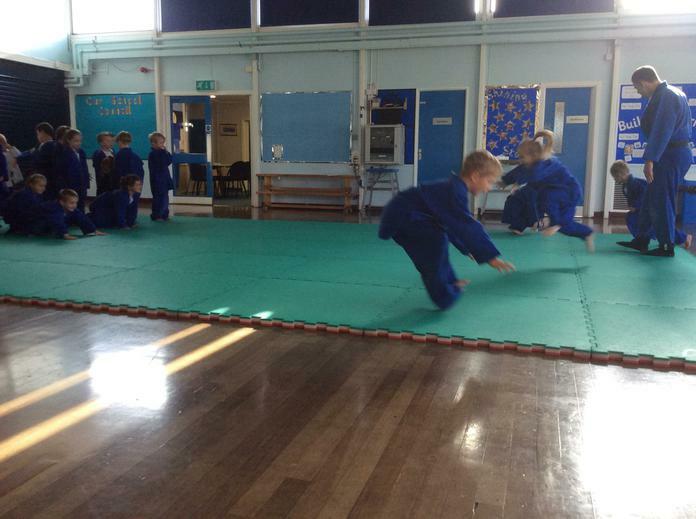 This week, we welcomed Anthony, our fantastic Judo coach, into our PE lesson. 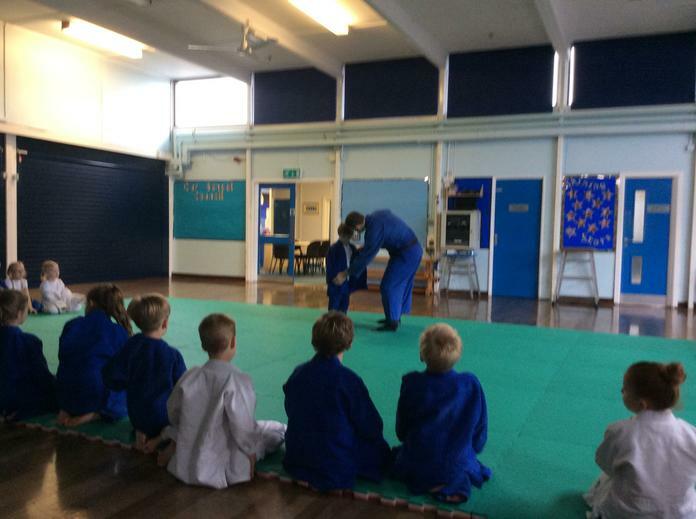 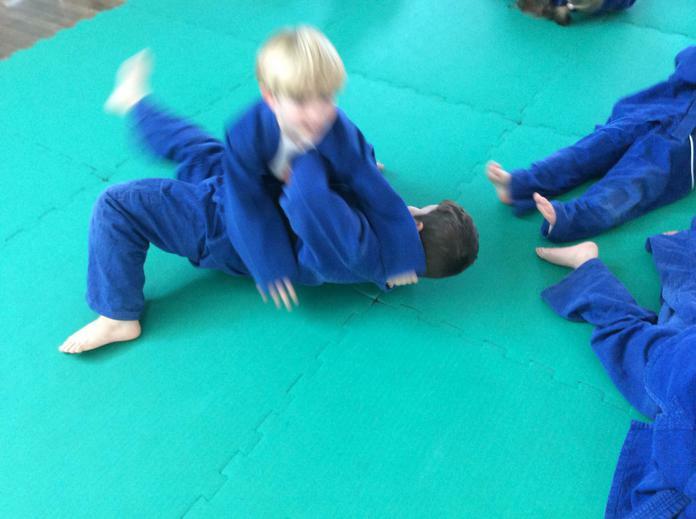 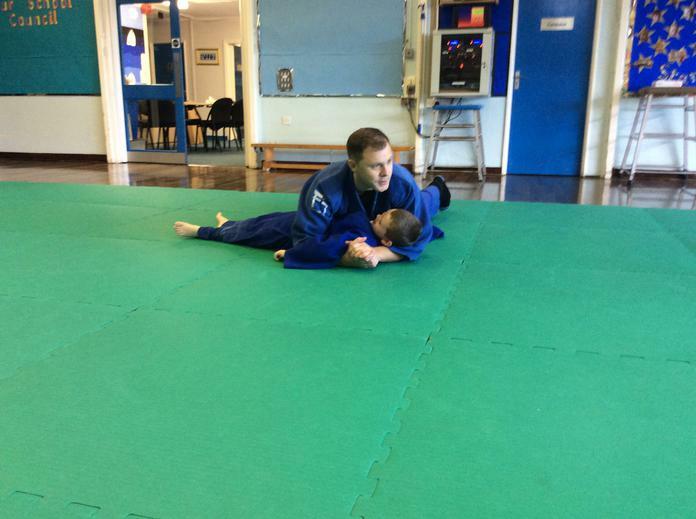 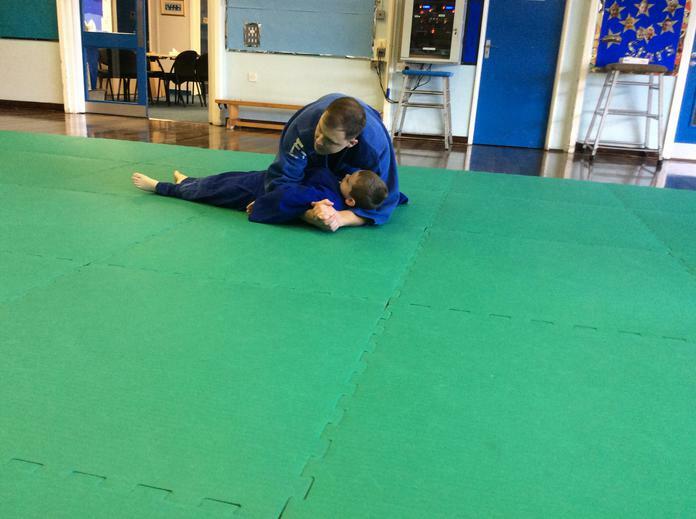 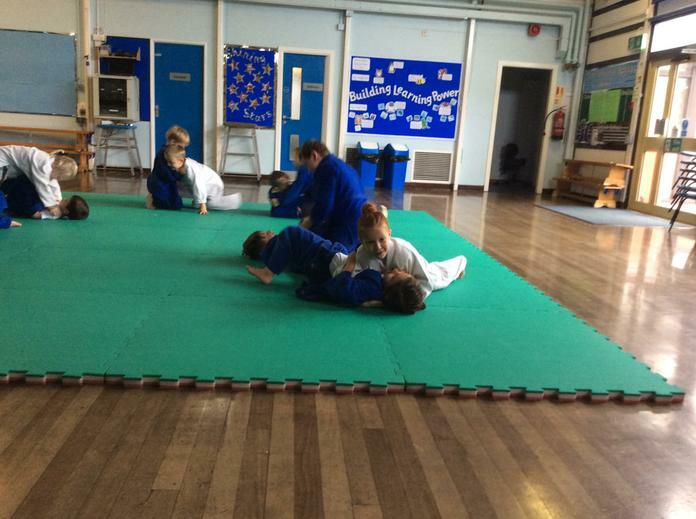 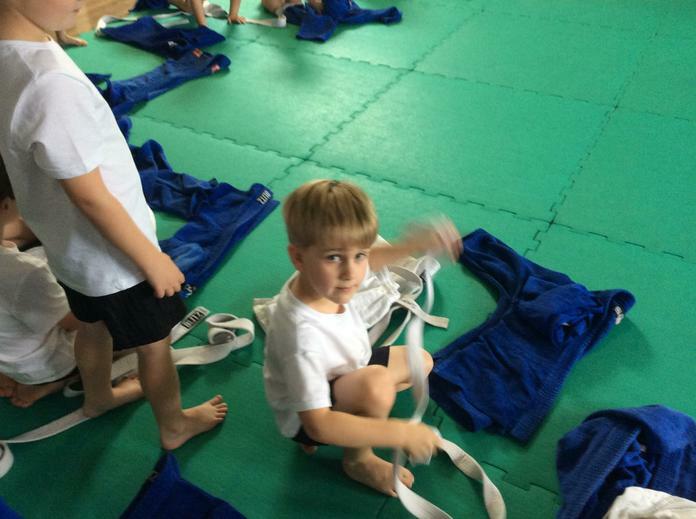 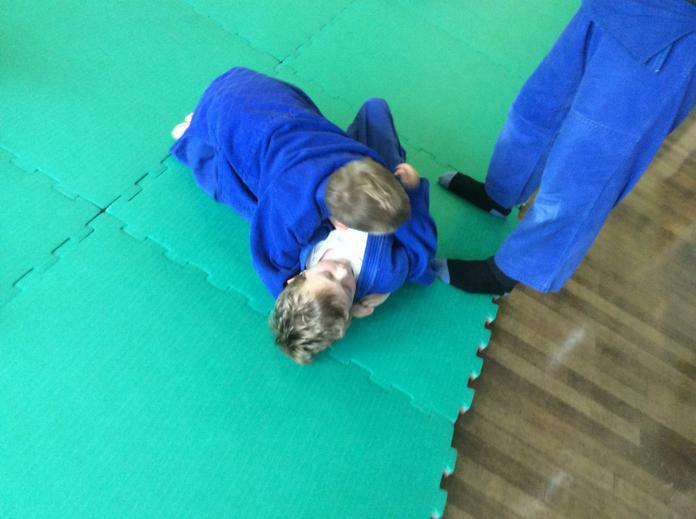 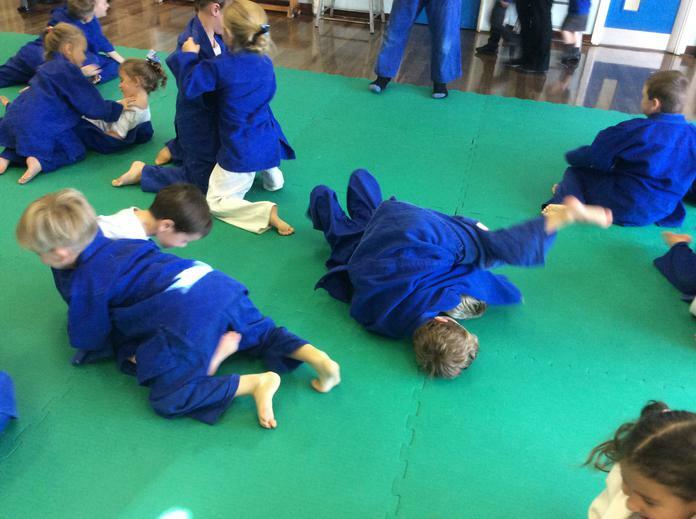 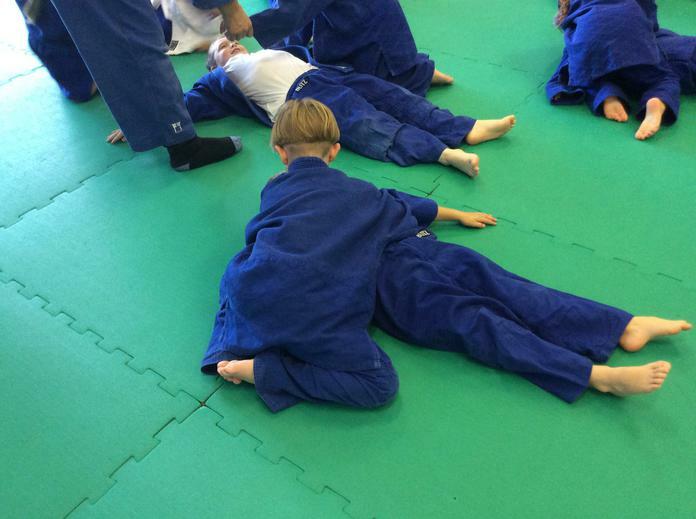 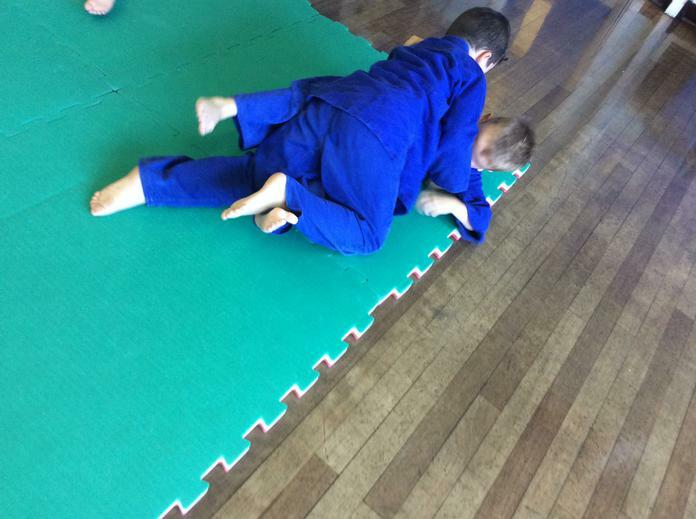 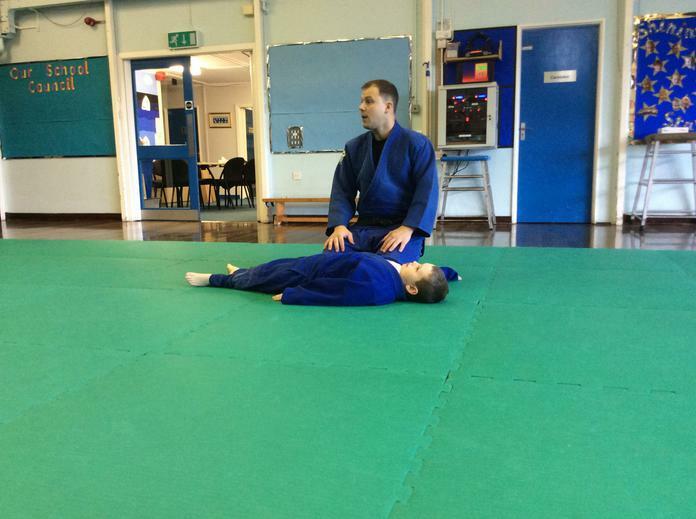 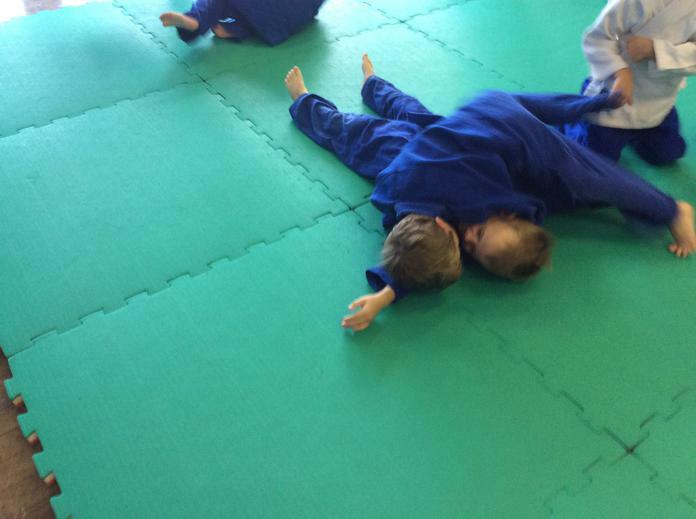 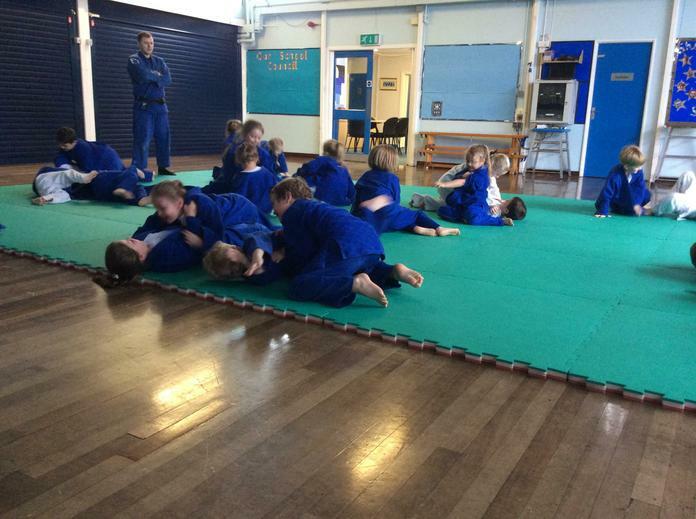 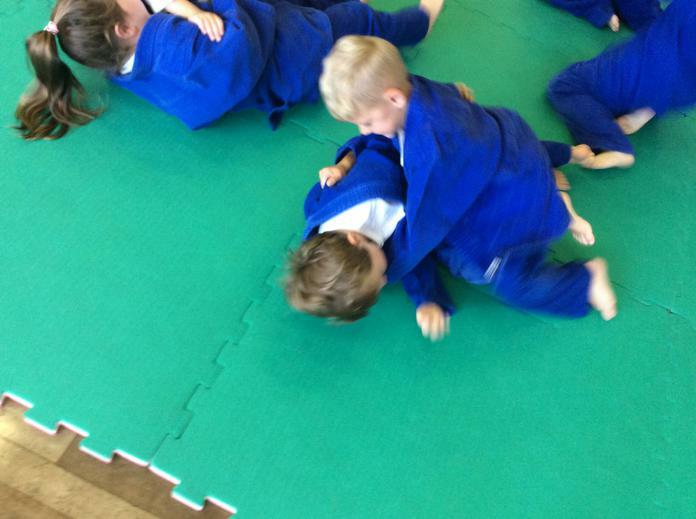 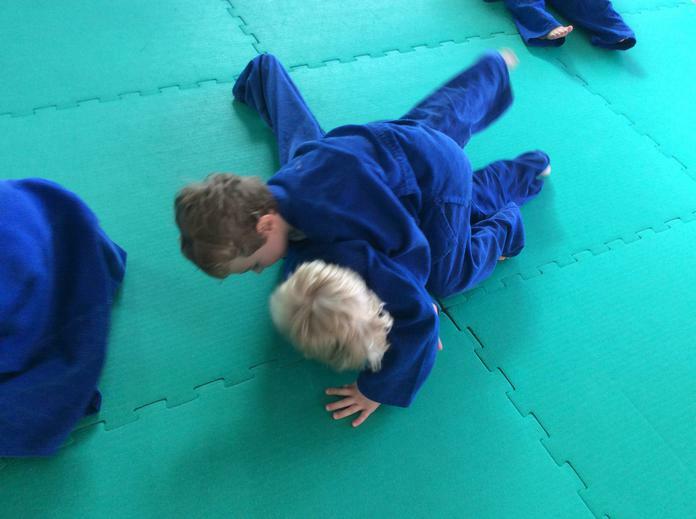 Anthony will be teaching Judo in 1S or the rest of this half term. 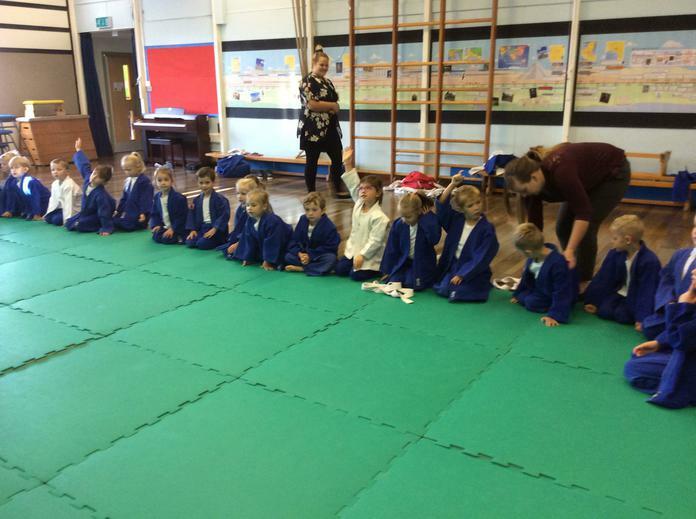 In our first session we learnt how to say 'stop, go and bow' in Japanese. 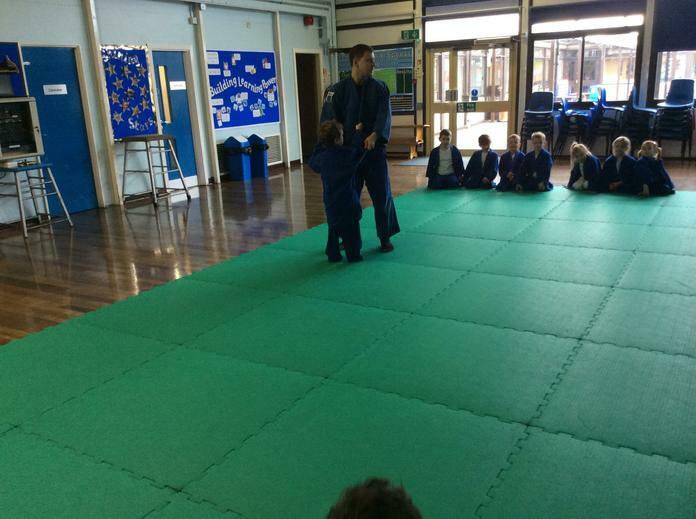 Anthony then taught us how to fall safely before moving on to teaching us some basic moves. 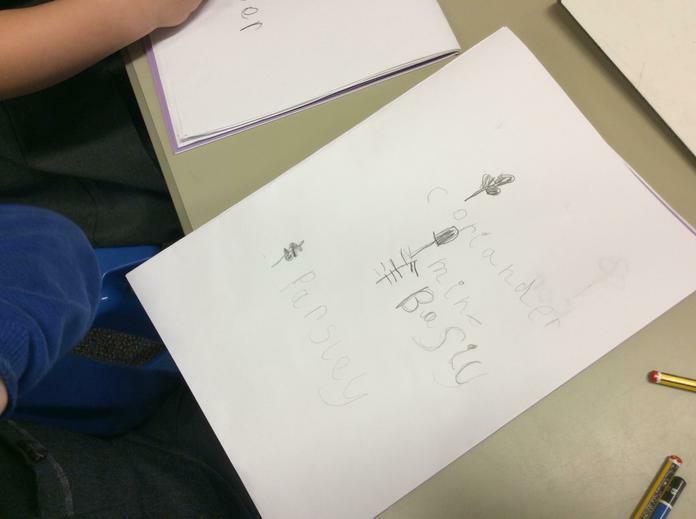 If the answer is yes then we'd love you to share some of their books with us in class! 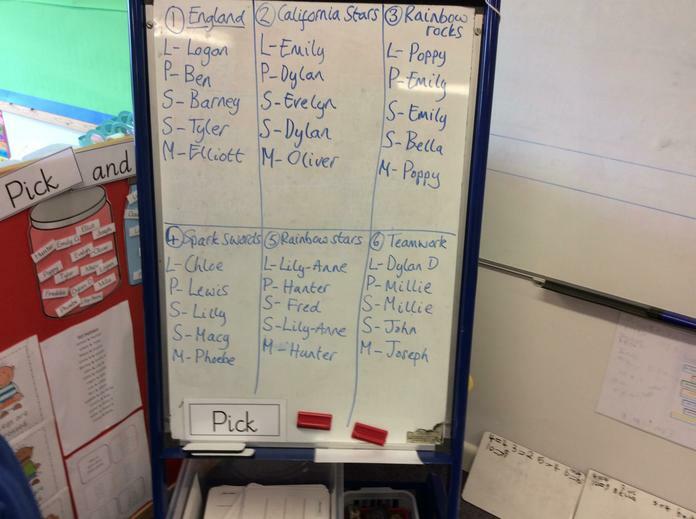 If the answer is no then don't worry because this half term we will be introducing you all to some really 'awesome authors'! 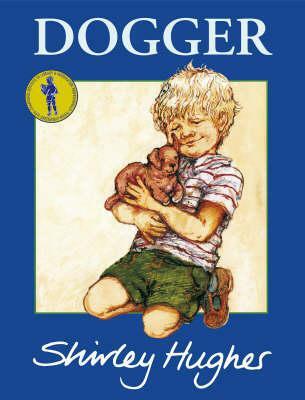 My favourite children's author is Shirley Hughes. 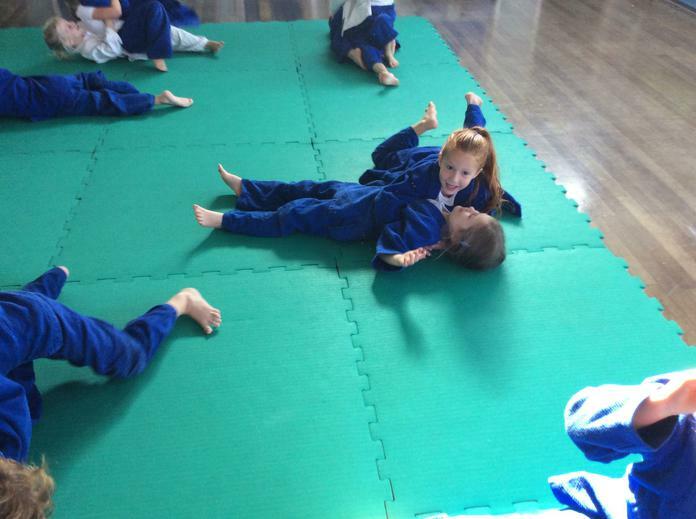 I love her stories about family life. 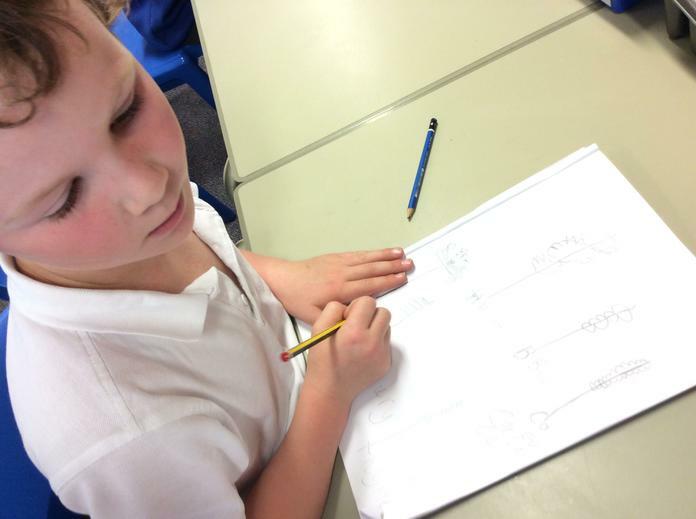 My own children grew up listening to the stories she wrote about Alfie and Annie-Rose and the children from Trotter Street, but their favourite was always the story of 'Dogger' and how he was lost and then found again. 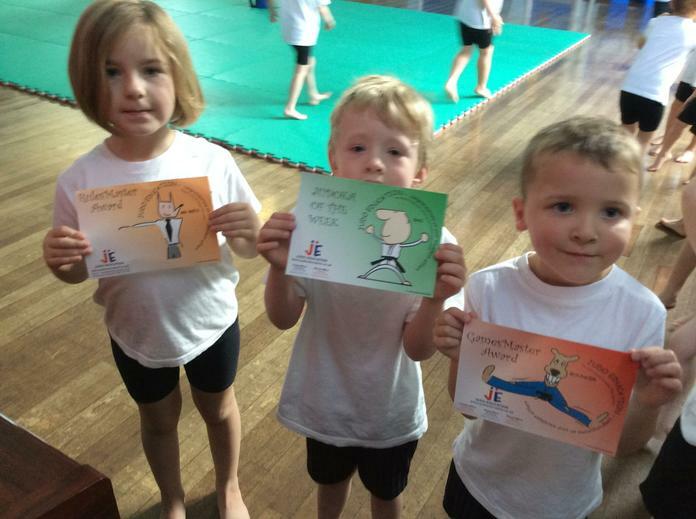 I can't wait to share some of these stories with you - I hope you will enjoy them as much as I do!